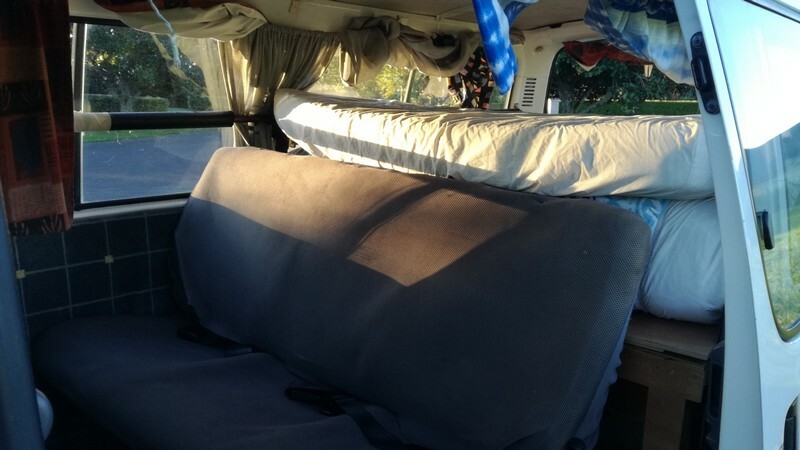 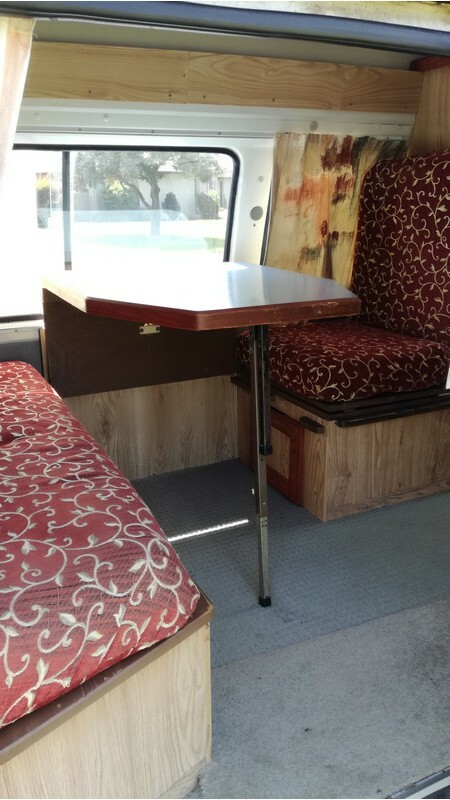 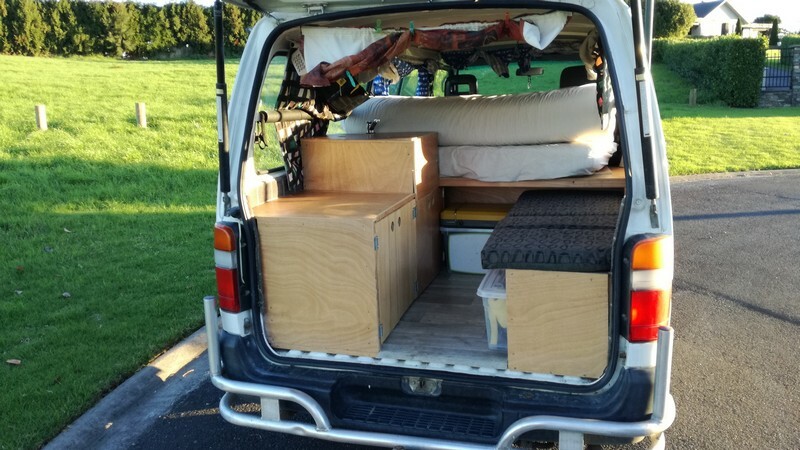 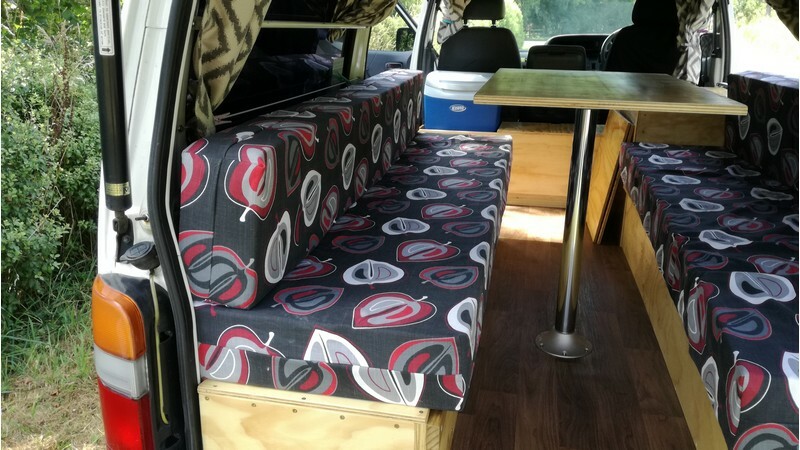 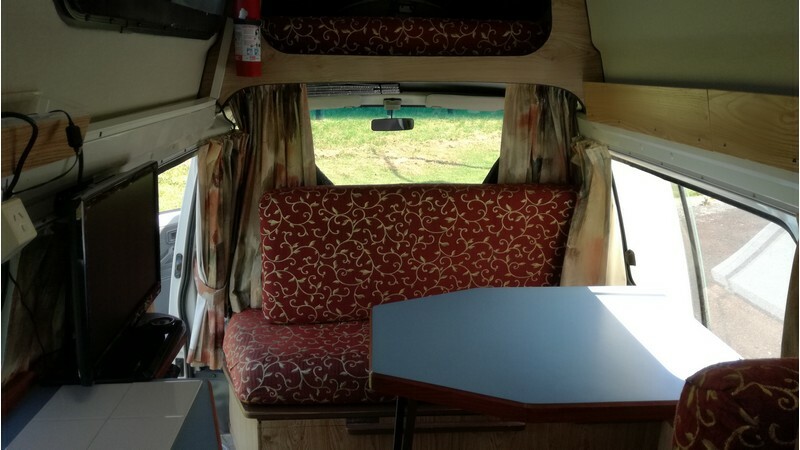 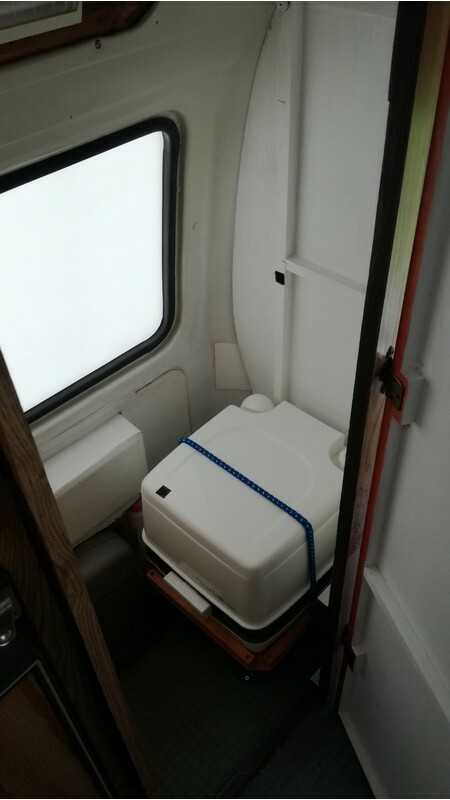 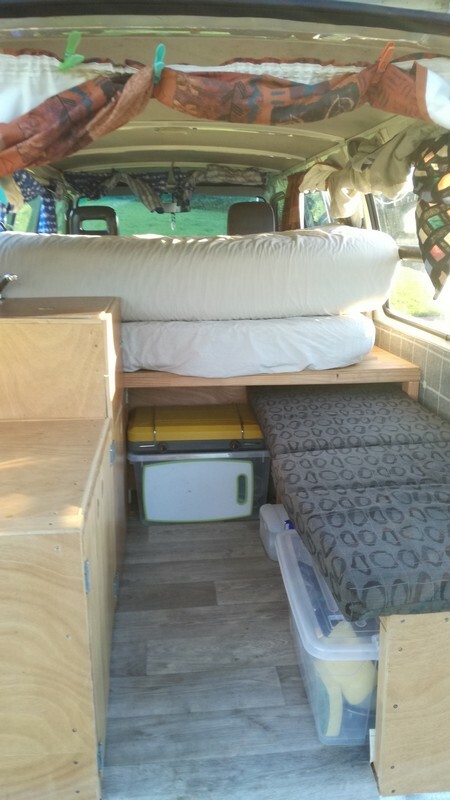 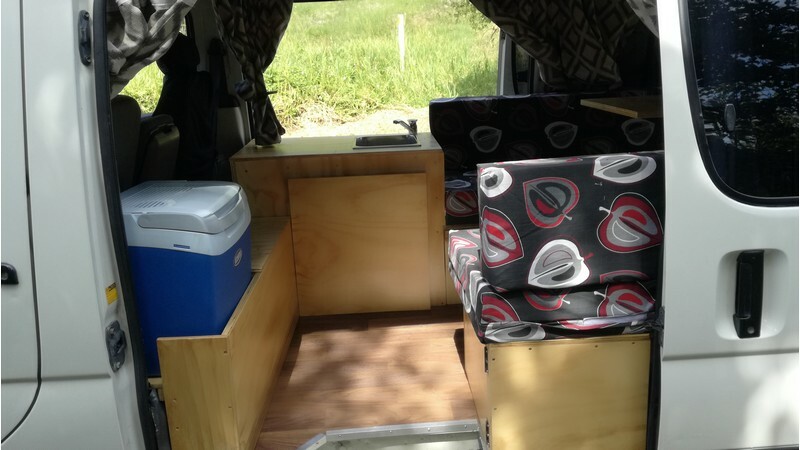 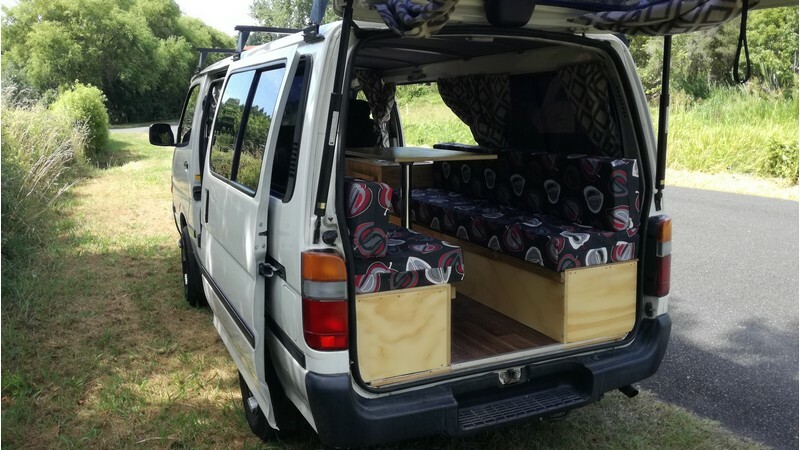 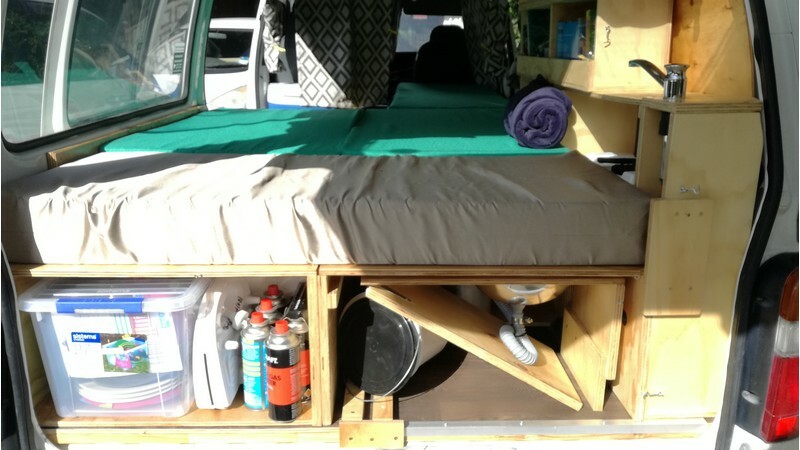 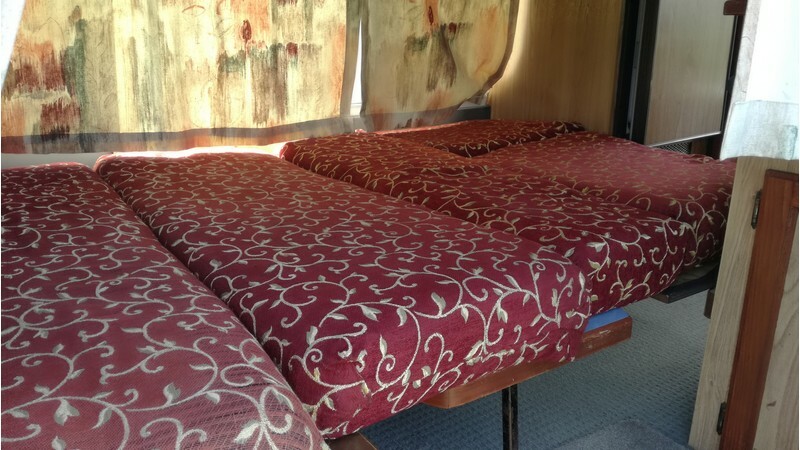 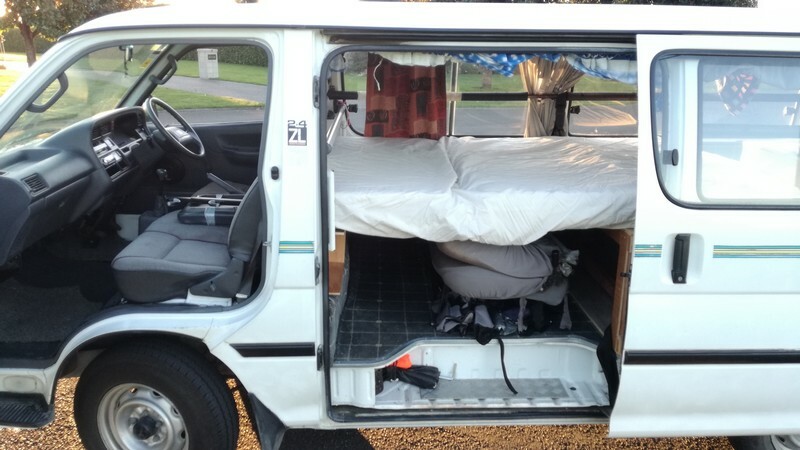 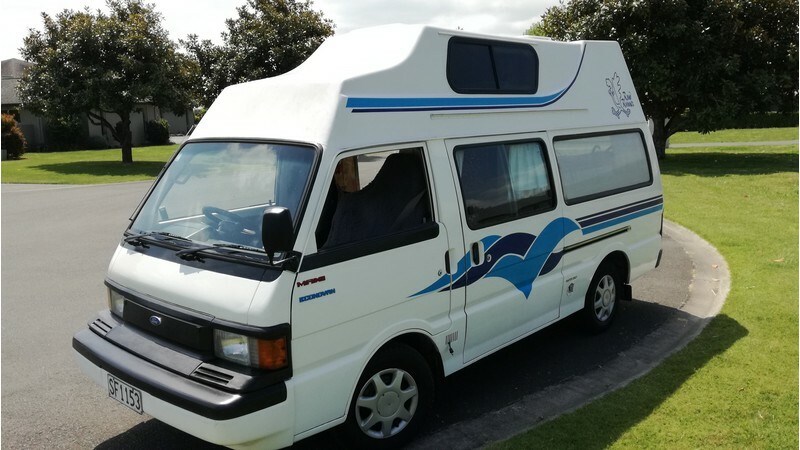 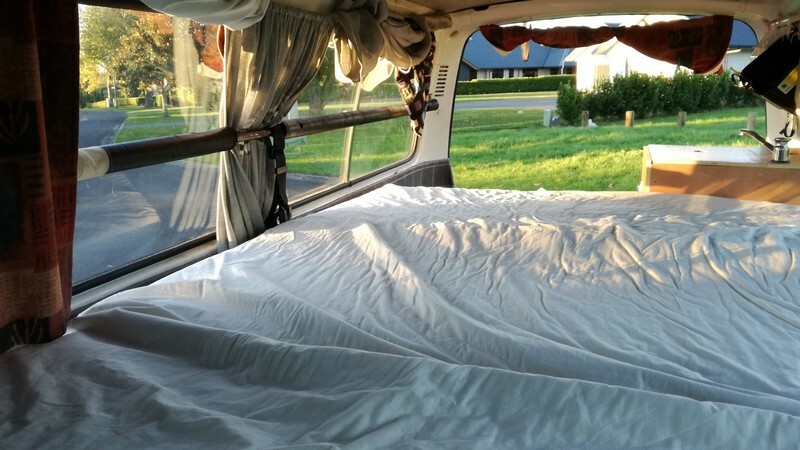 We have a limited supply of backpacker campervans that can seat and sleep more than two people. 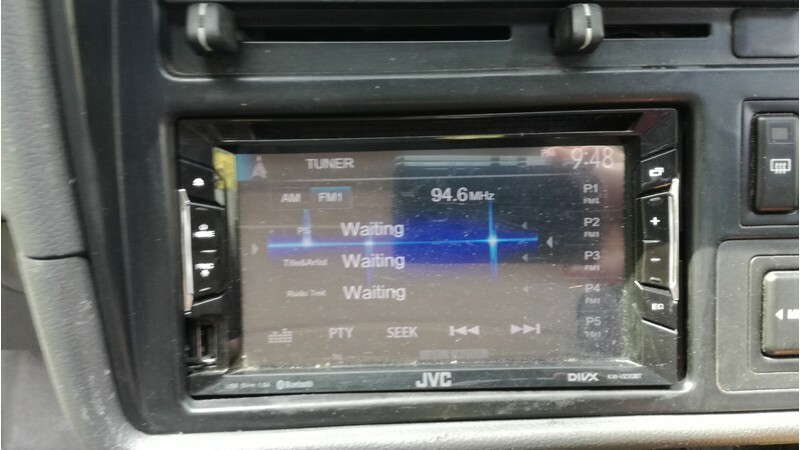 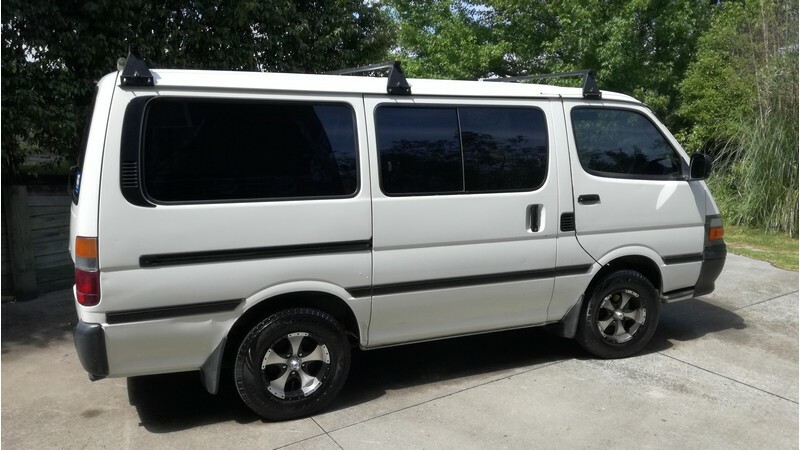 Each van listed below is a different configuration. 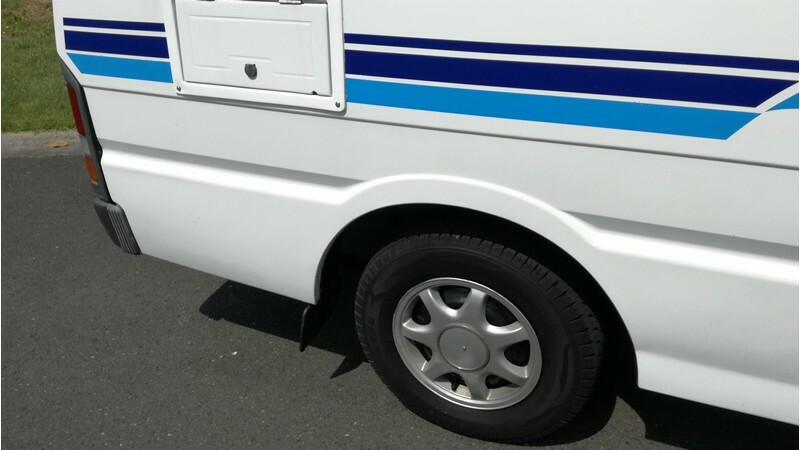 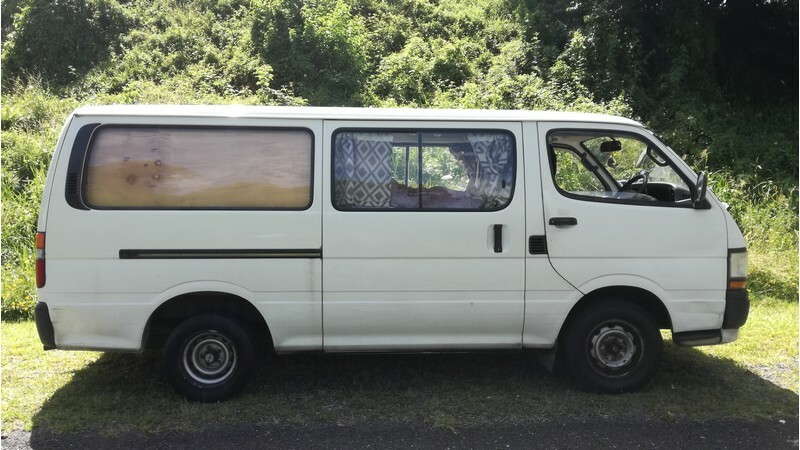 The Toyota Hiace vans are longer than our other Toyota Estima and Toyota Liteace vans. 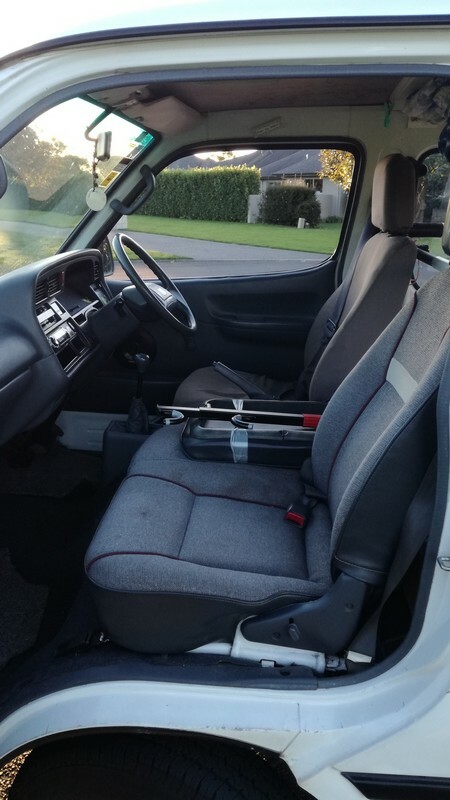 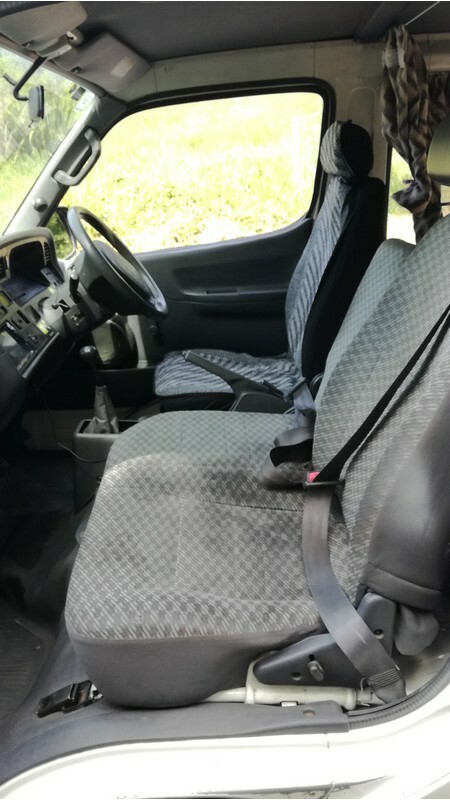 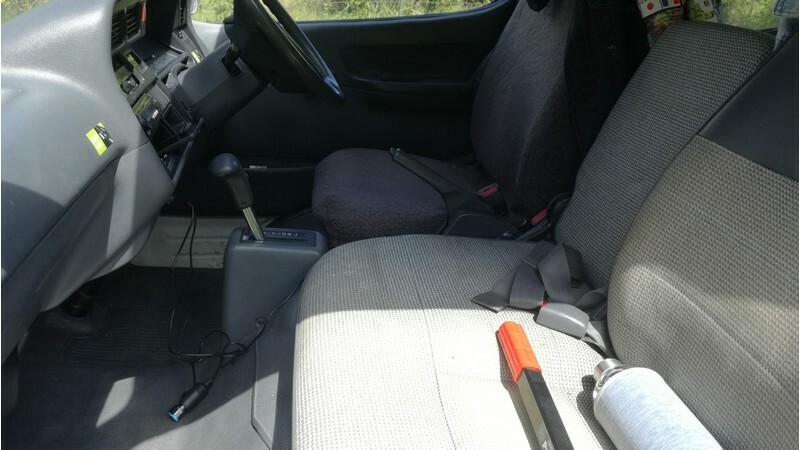 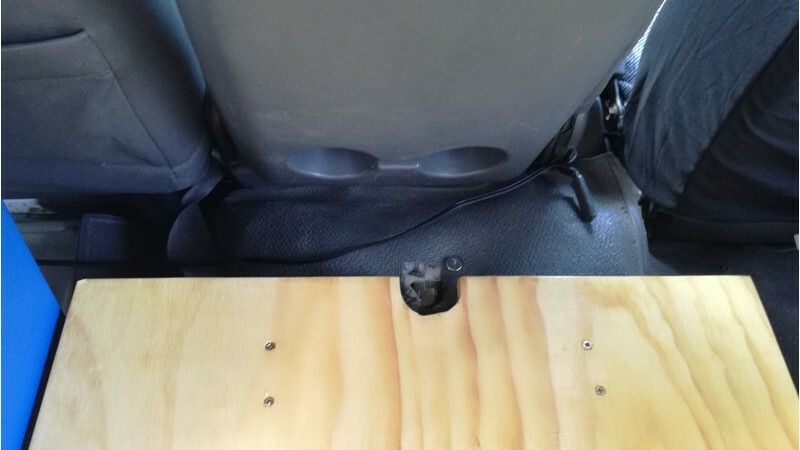 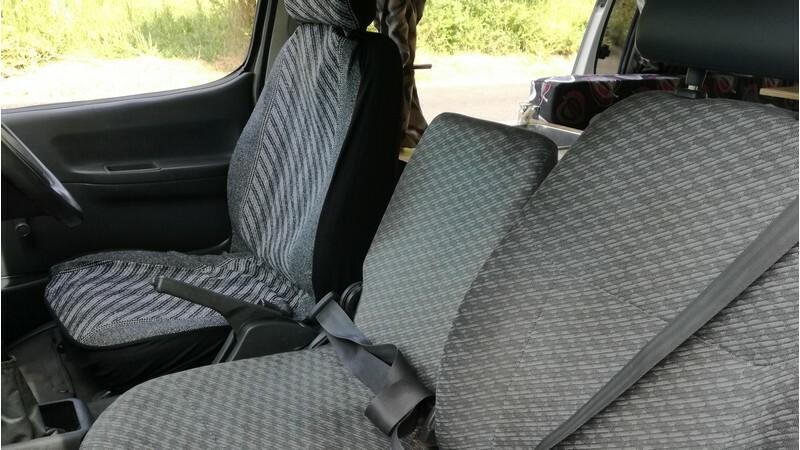 One of our vans has 5 seats with seatbelts making it an option for families. 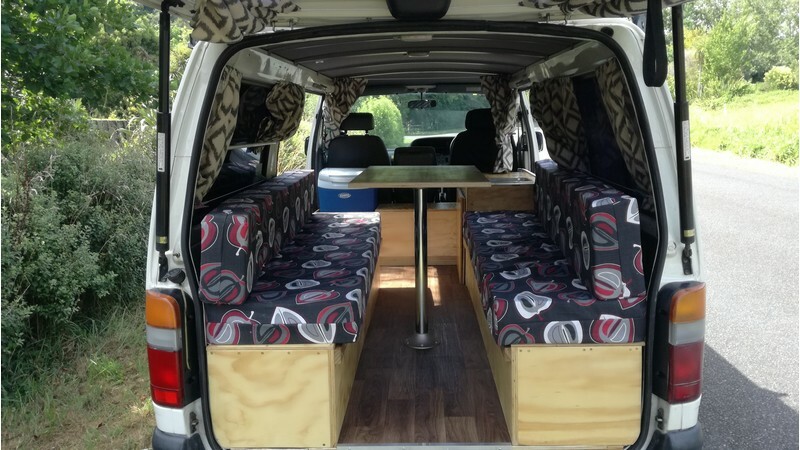 Please contact us to discuss your campervan requirements. 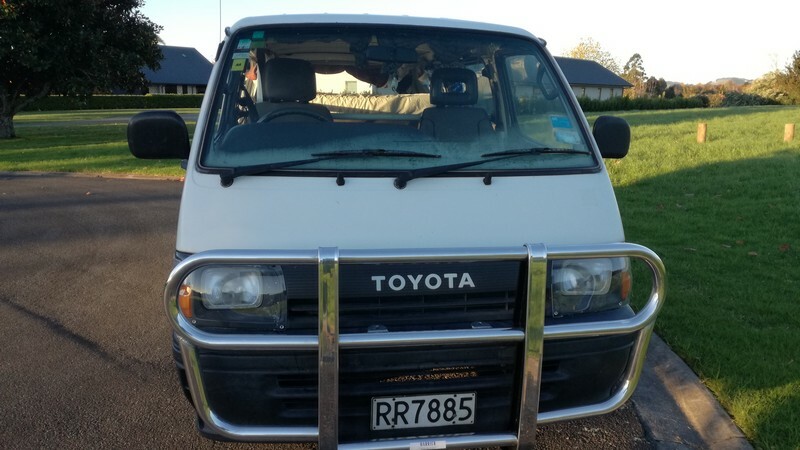 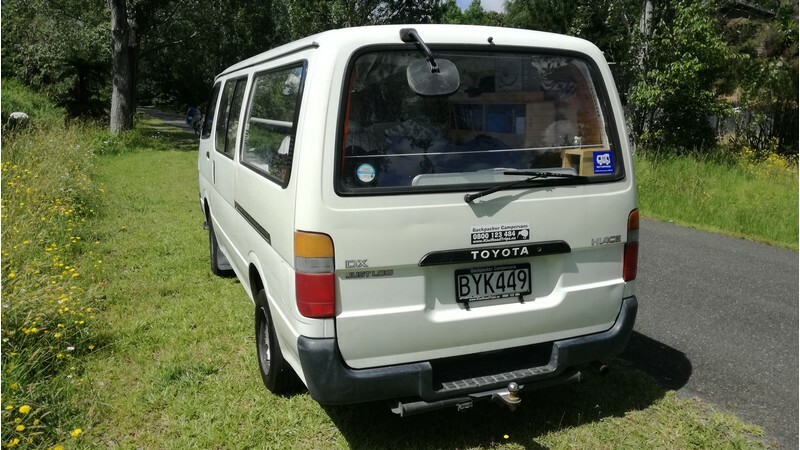 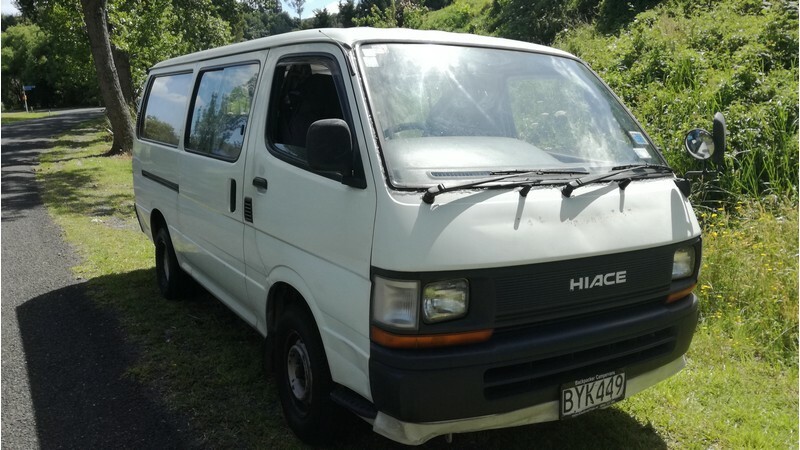 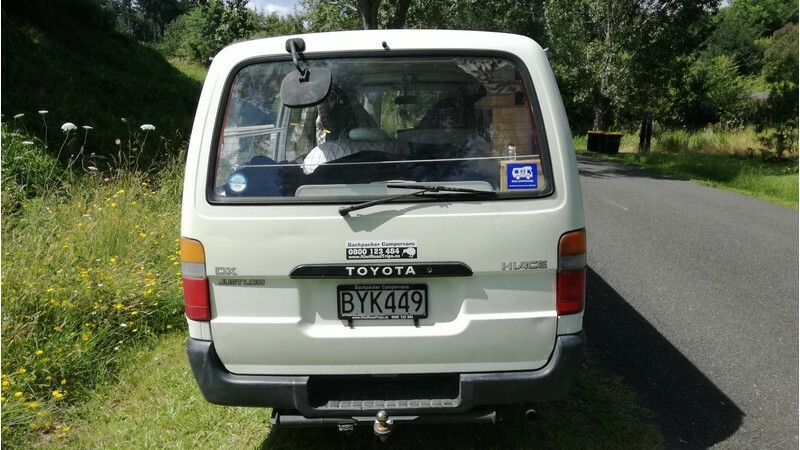 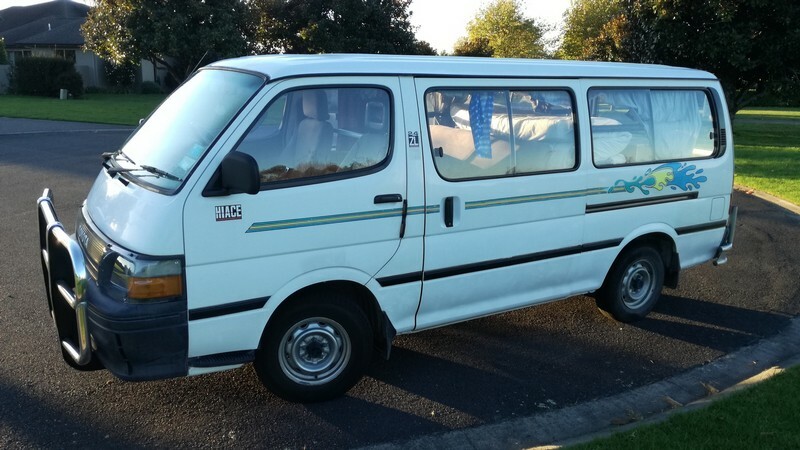 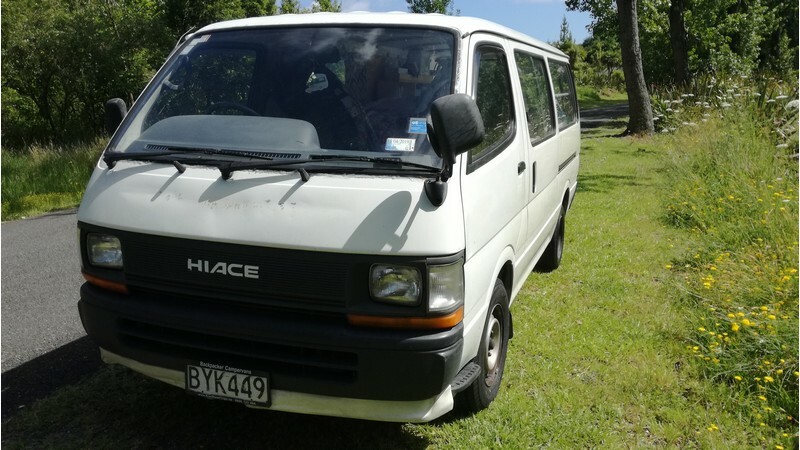 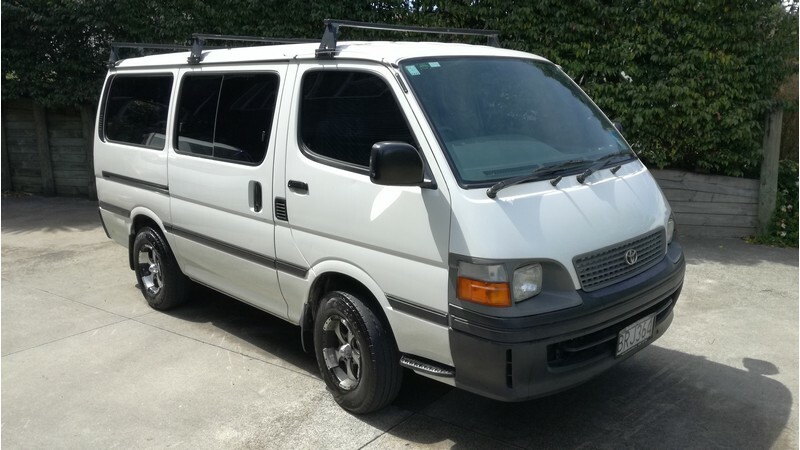 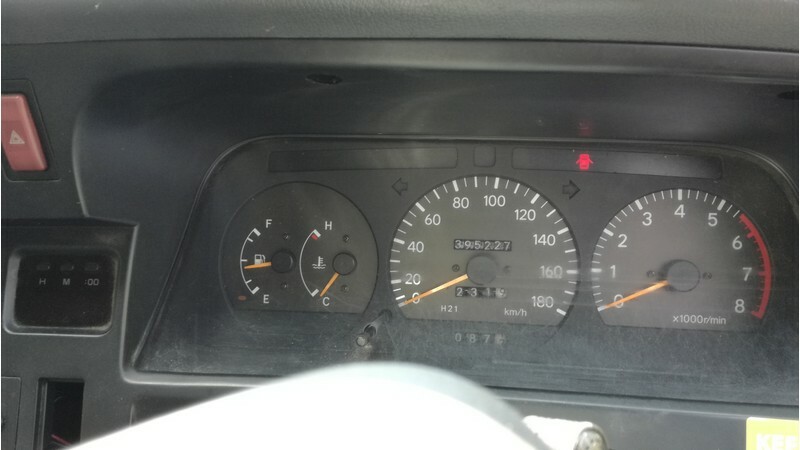 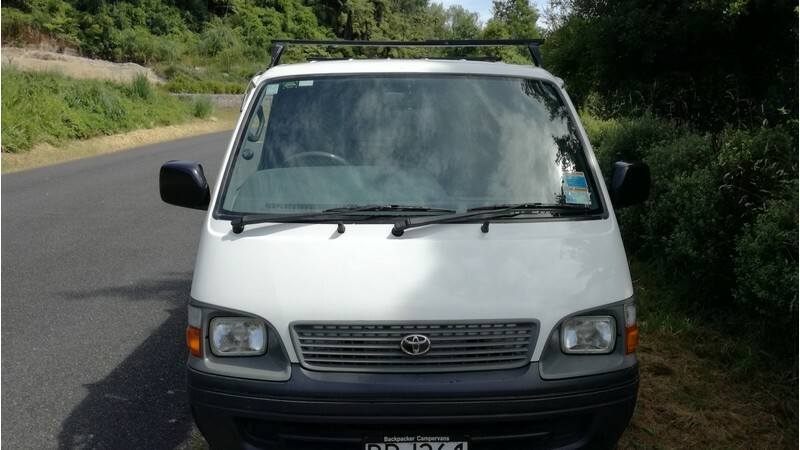 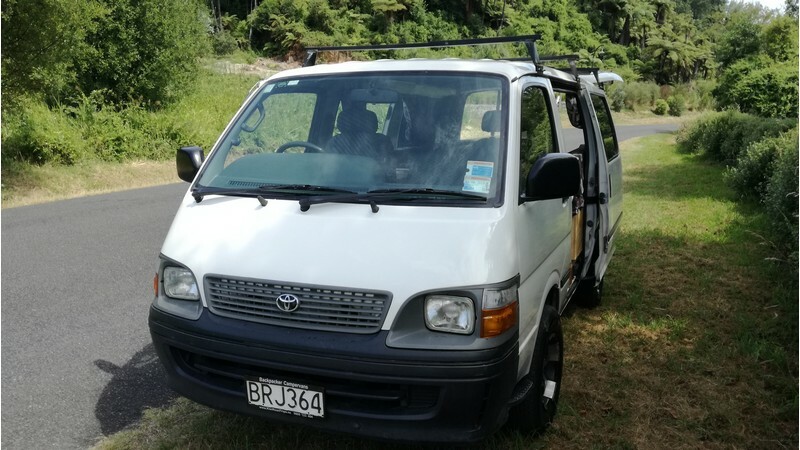 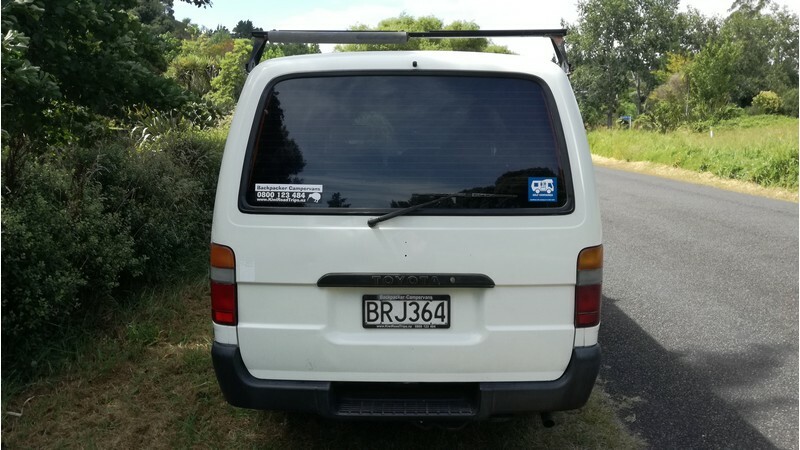 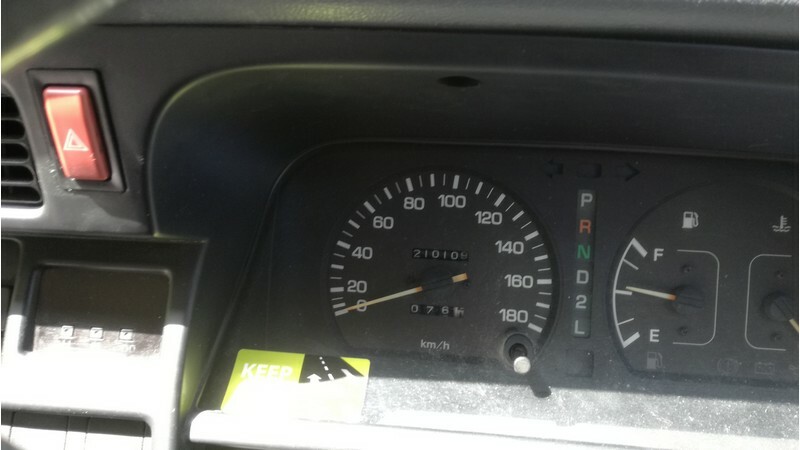 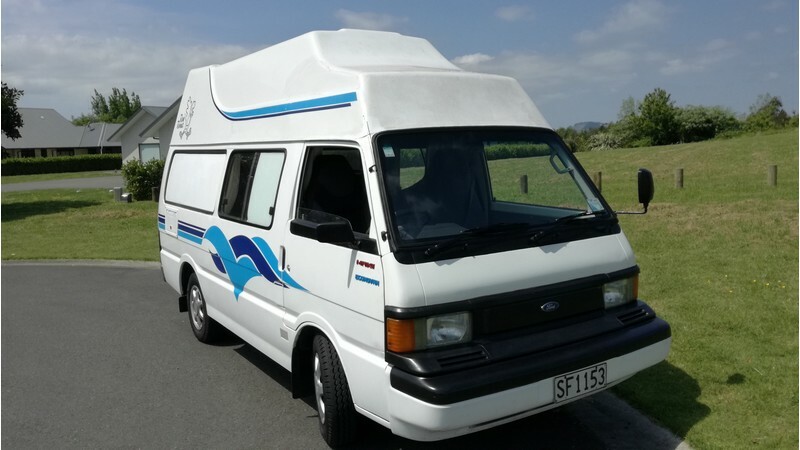 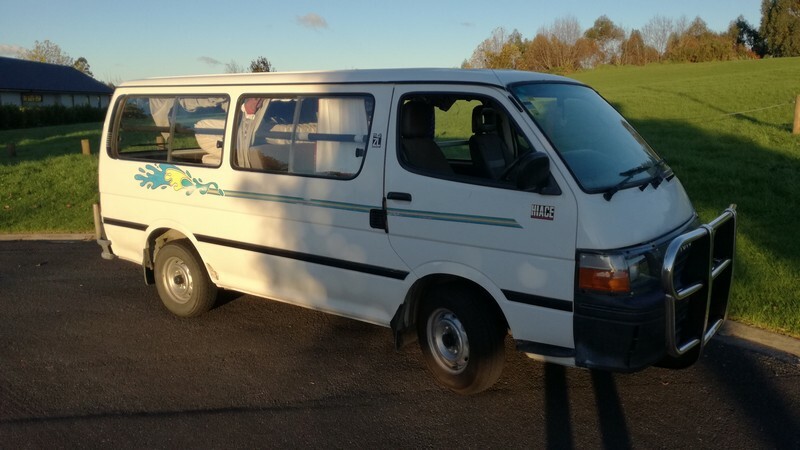 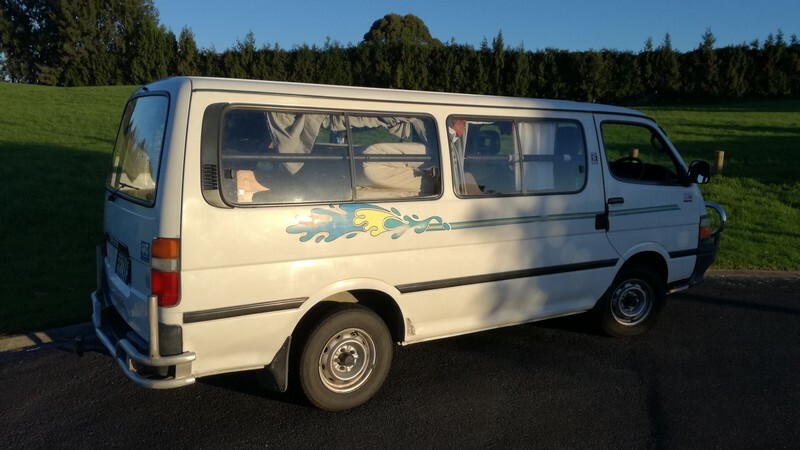 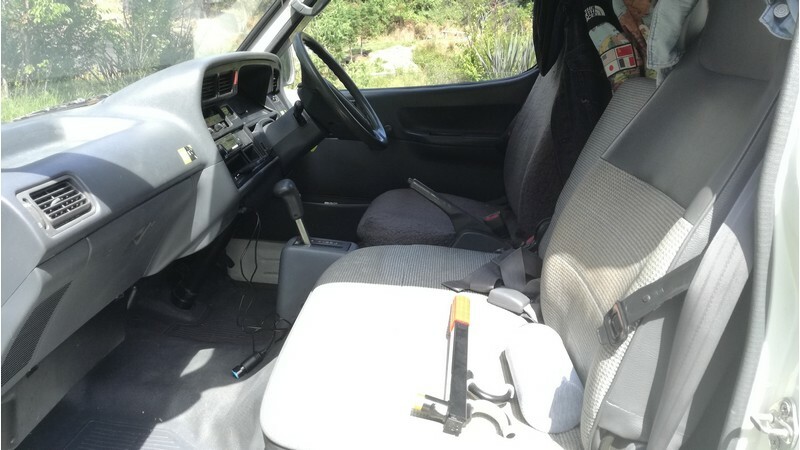 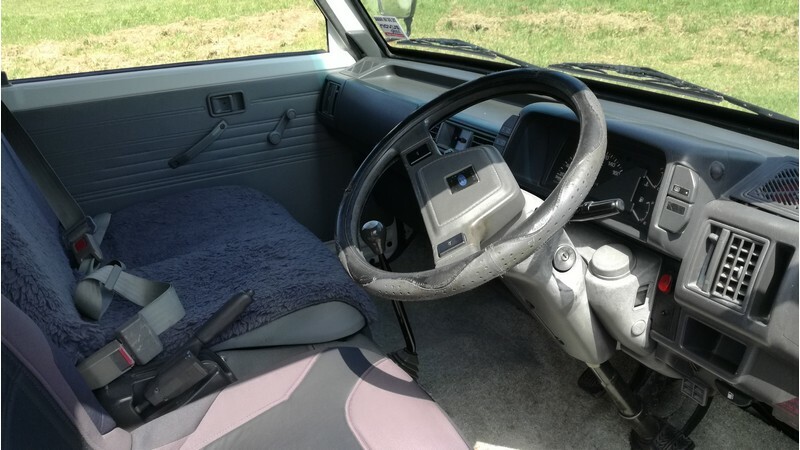 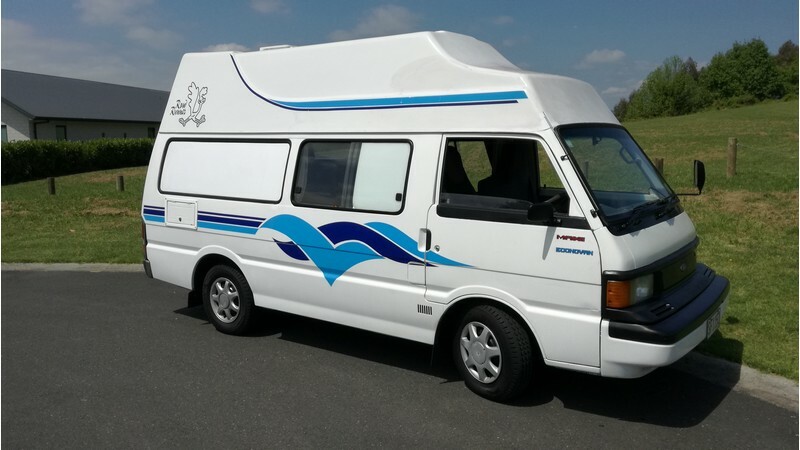 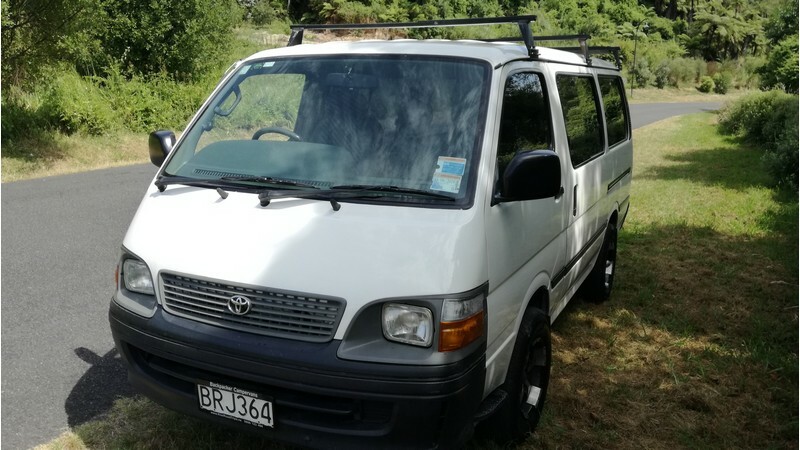 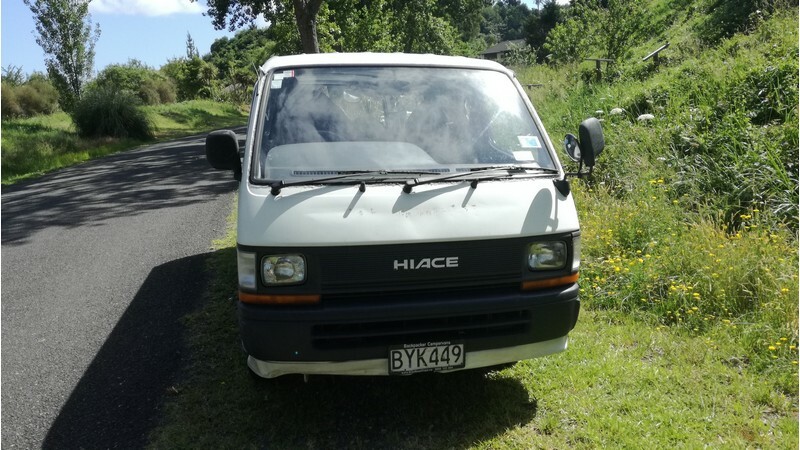 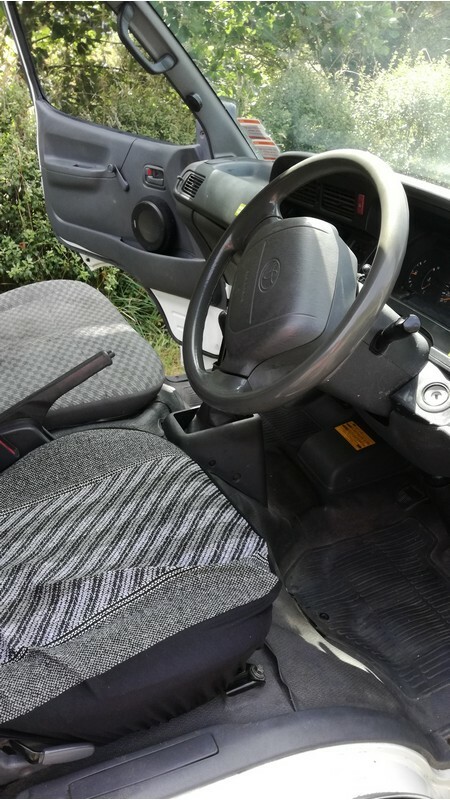 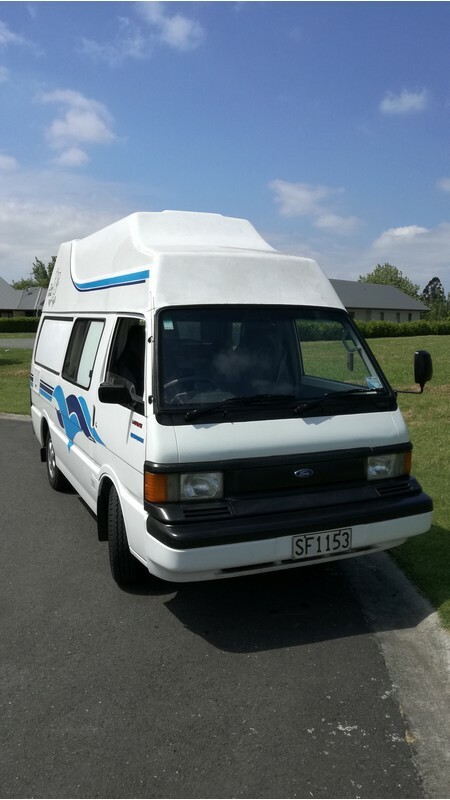 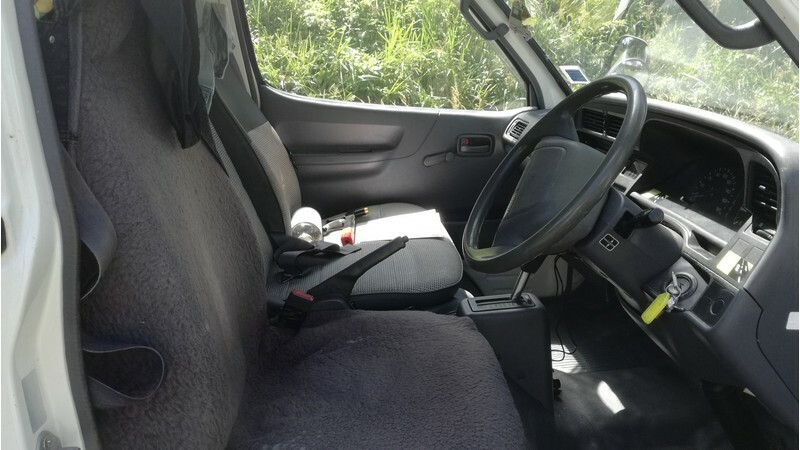 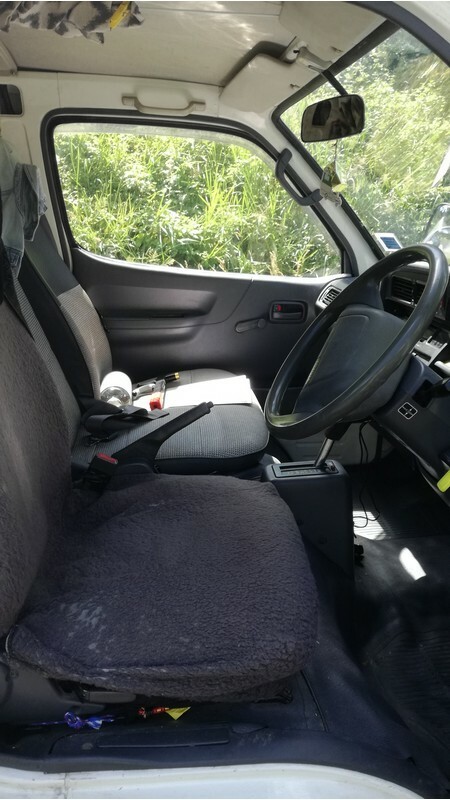 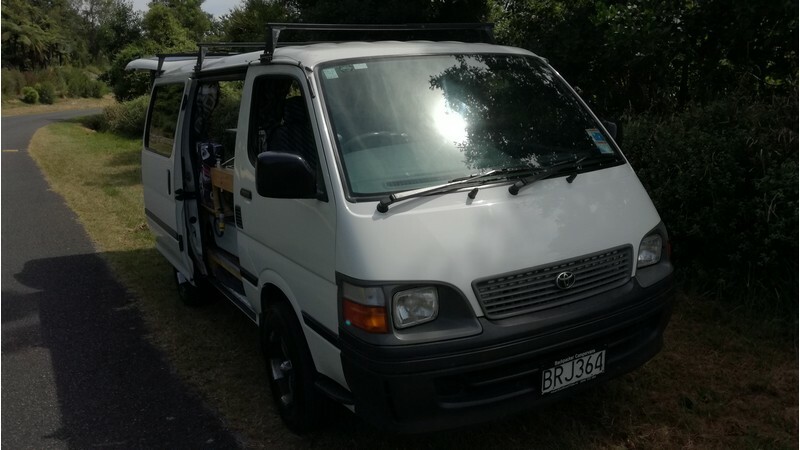 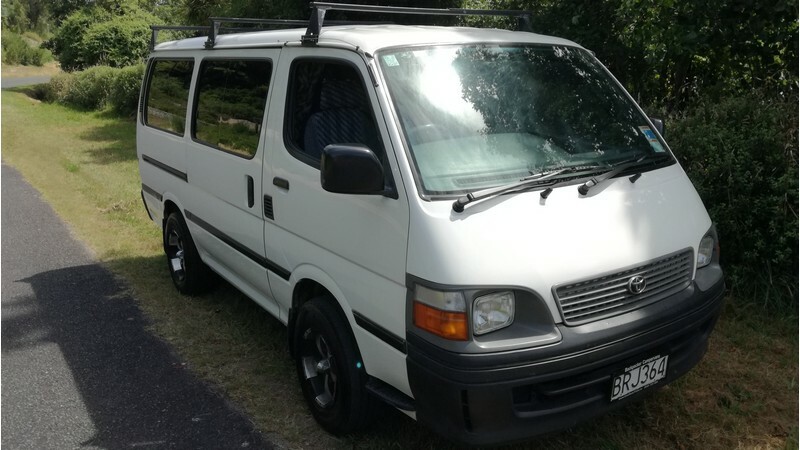 Toyota Hiace ZL 1992, White, 2.4l, Petrol, Manual. 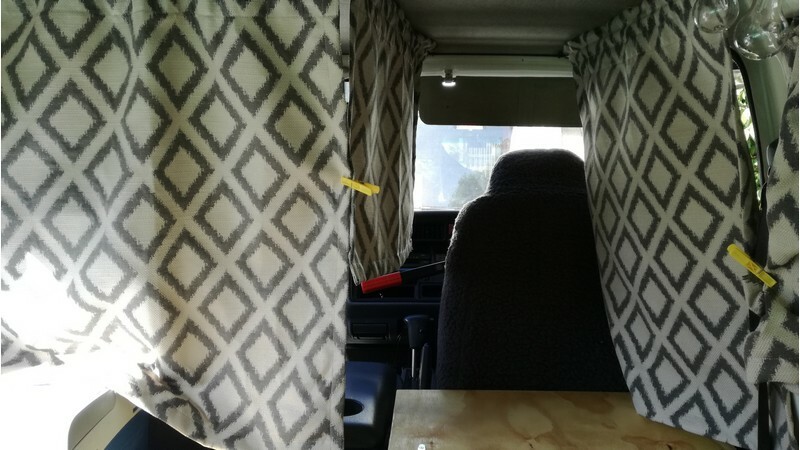 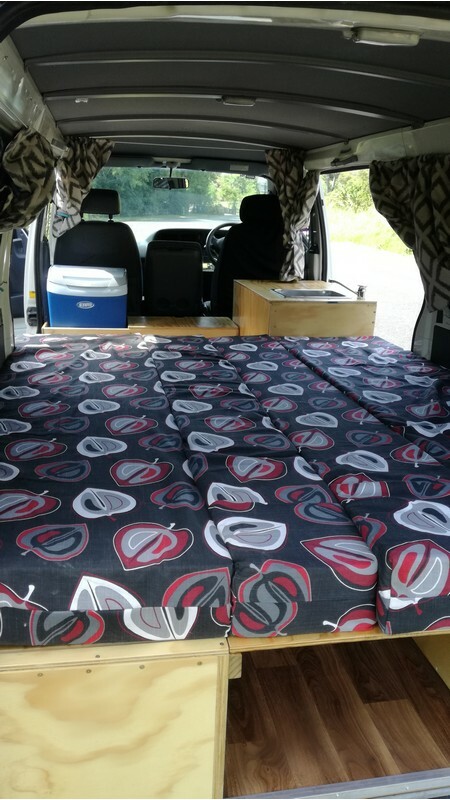 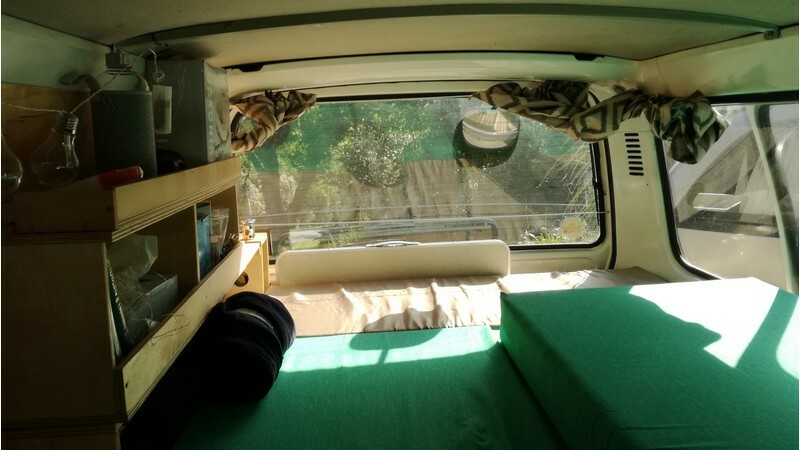 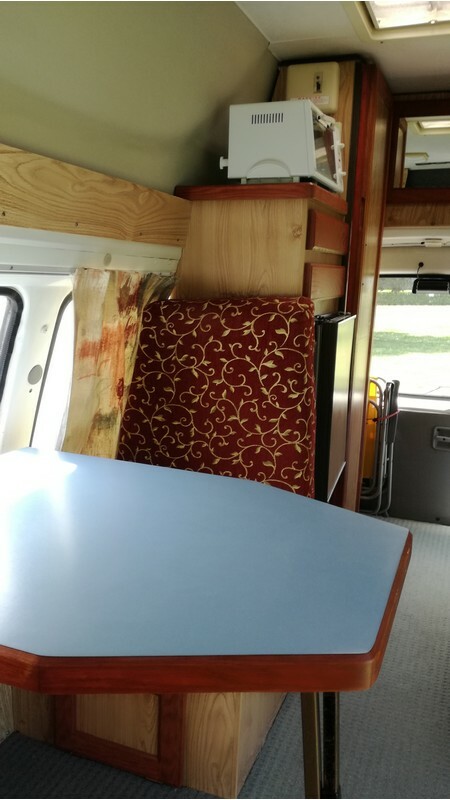 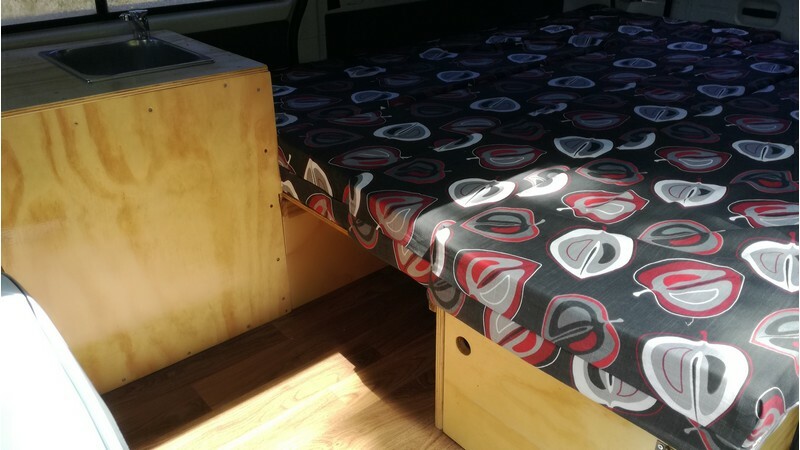 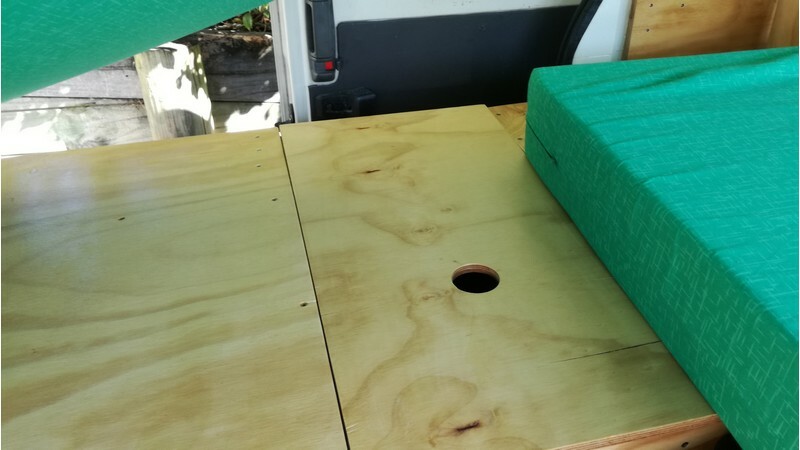 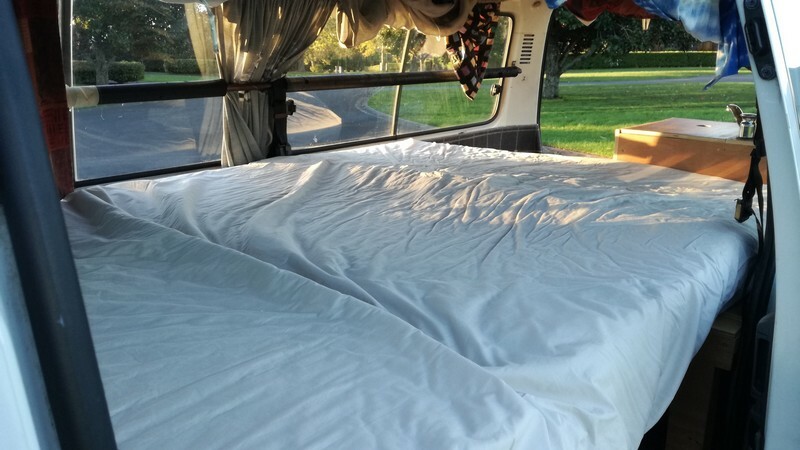 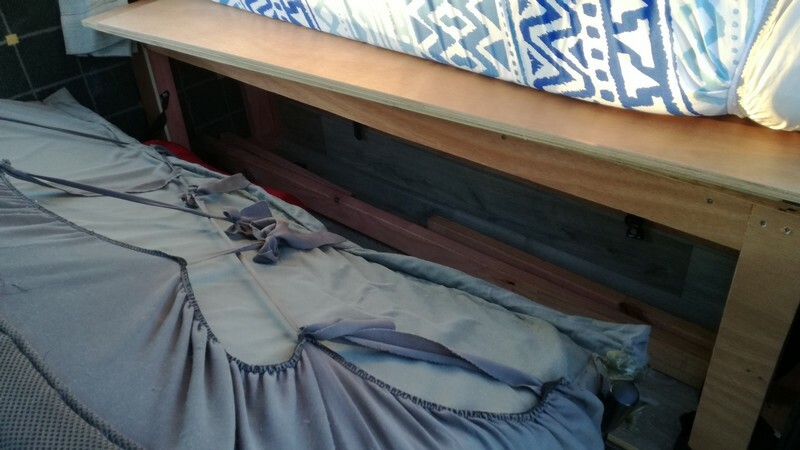 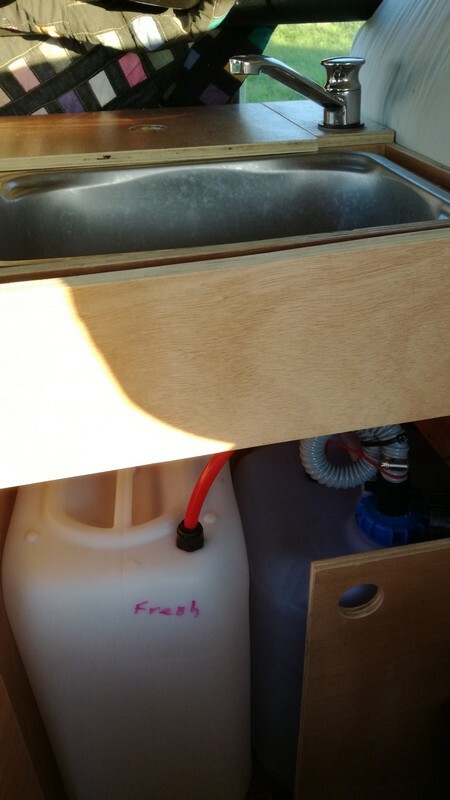 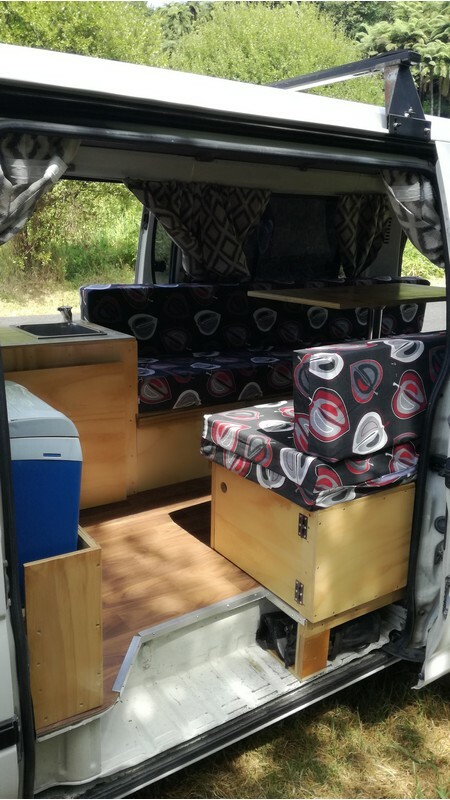 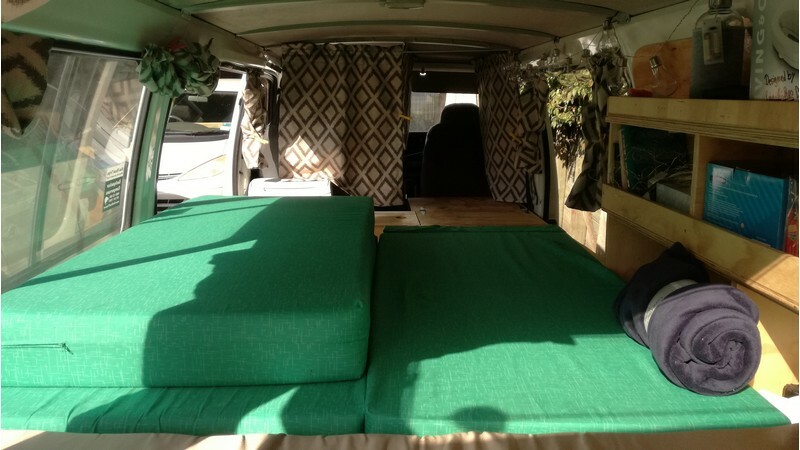 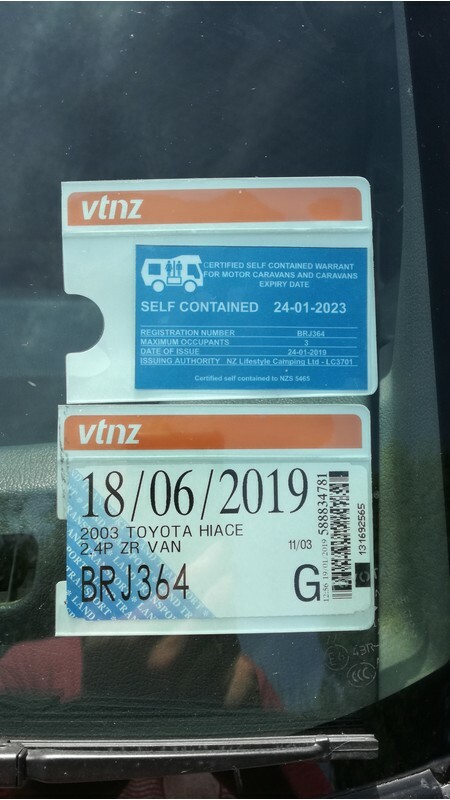 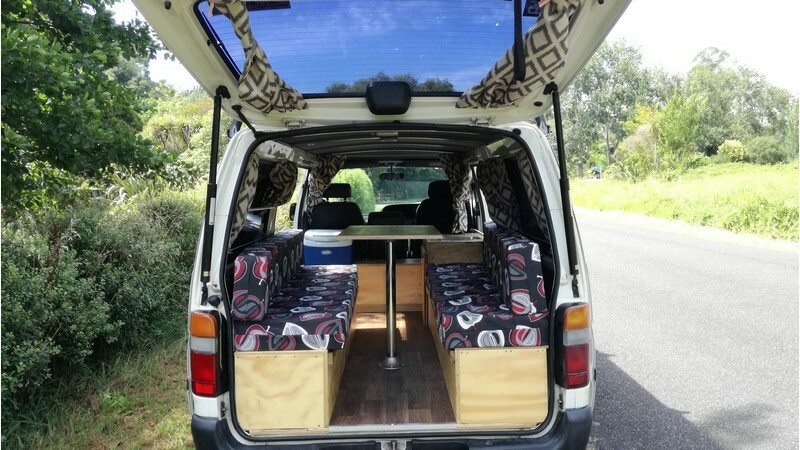 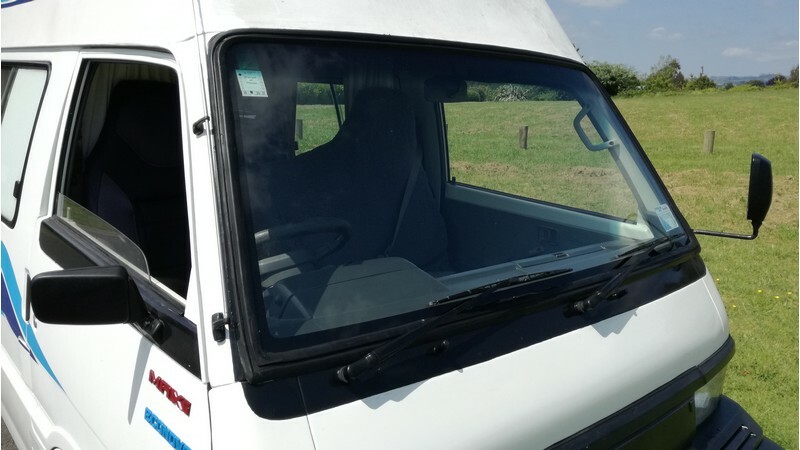 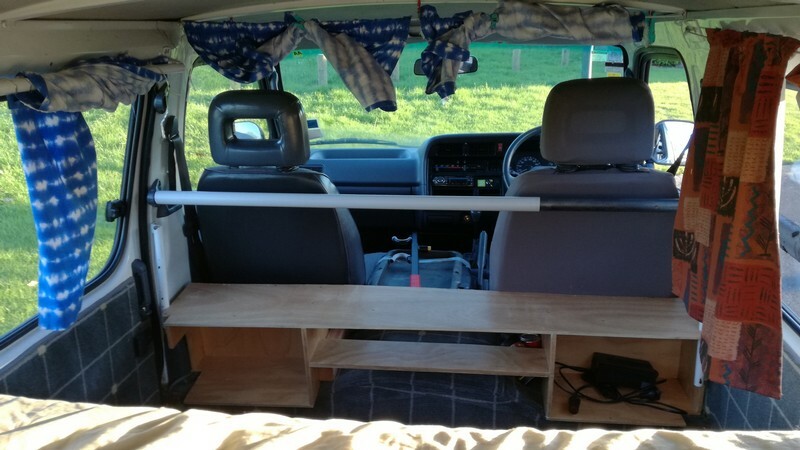 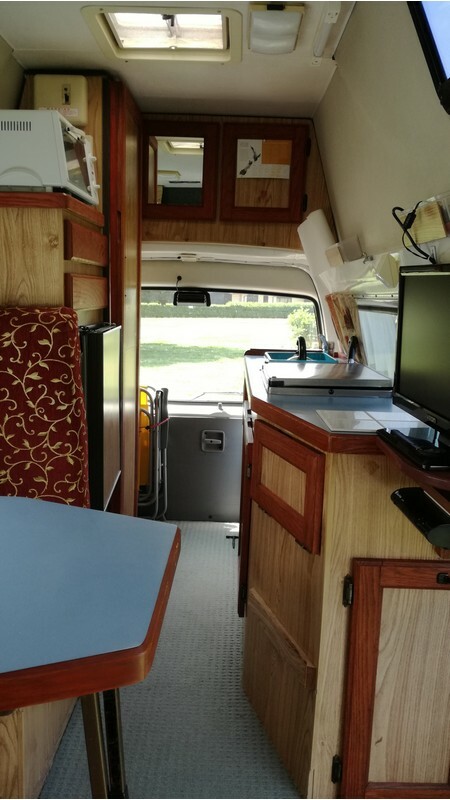 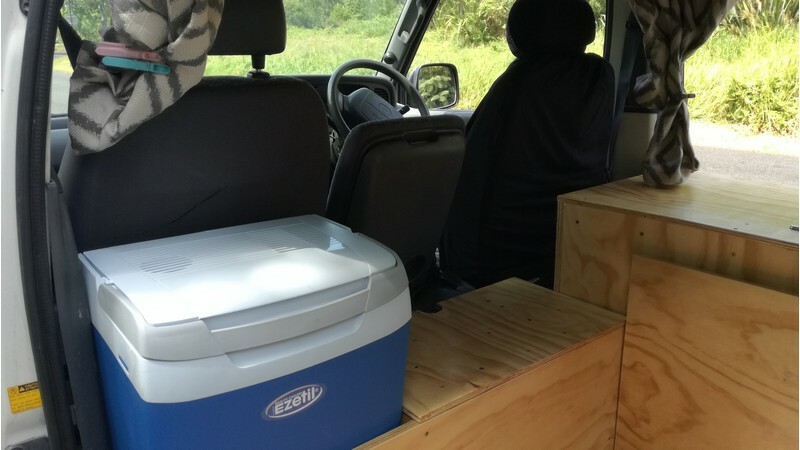 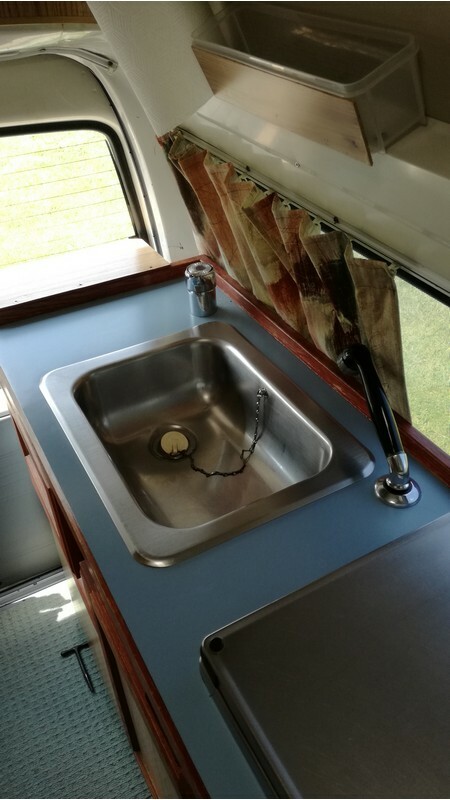 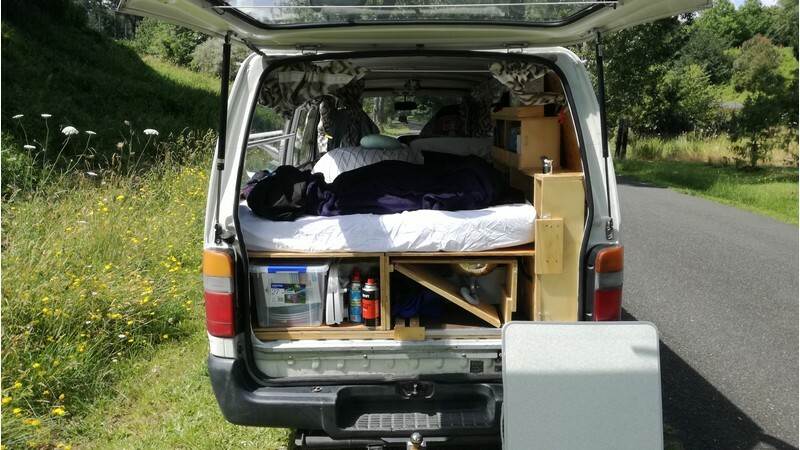 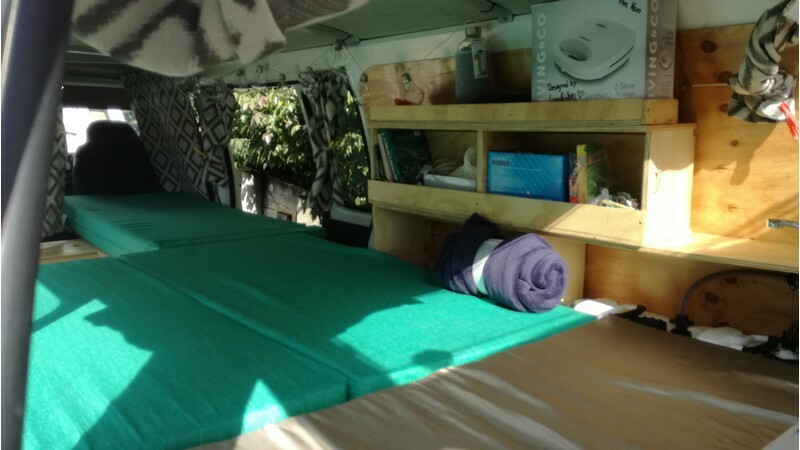 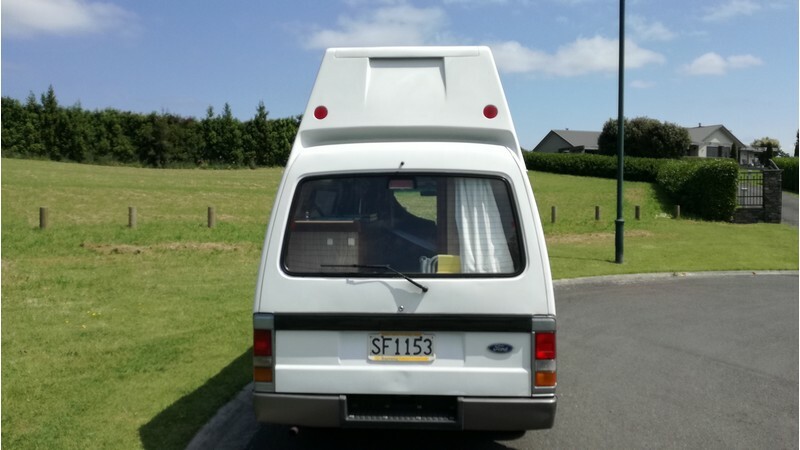 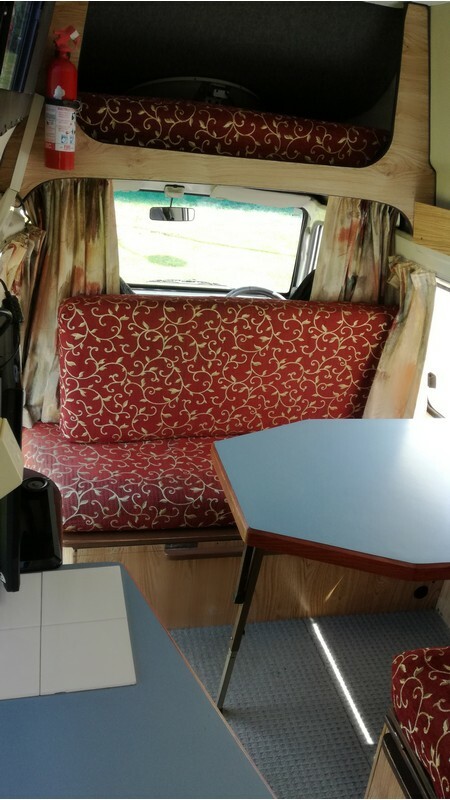 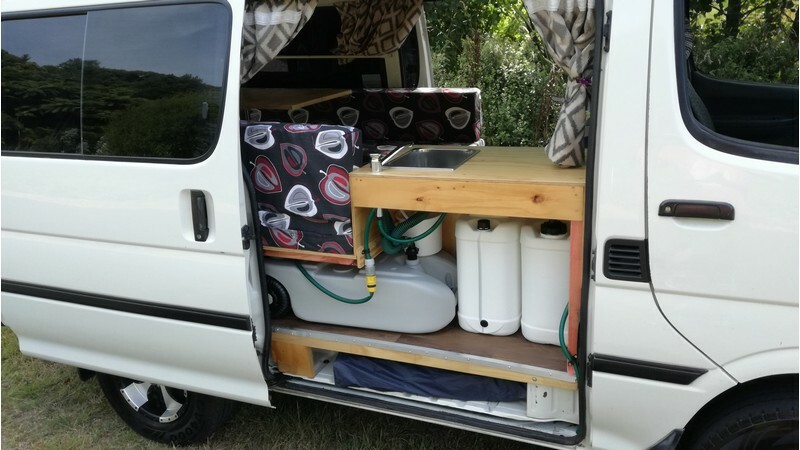 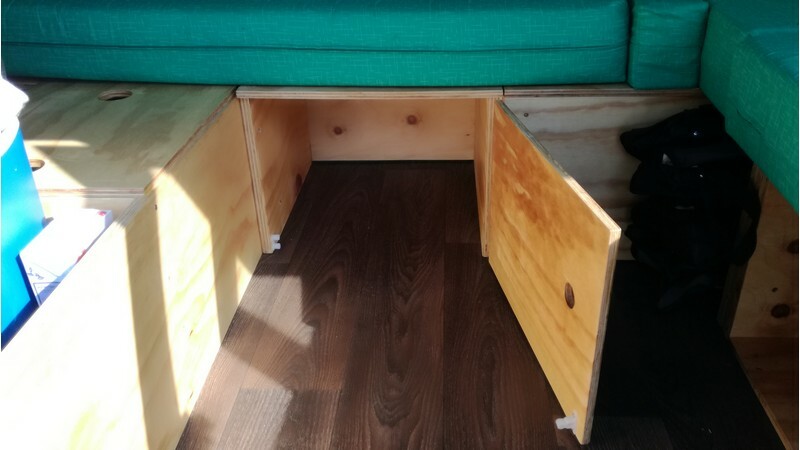 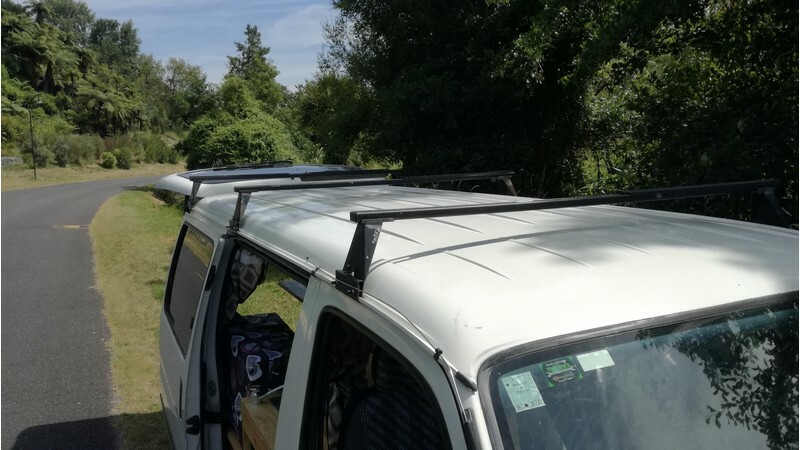 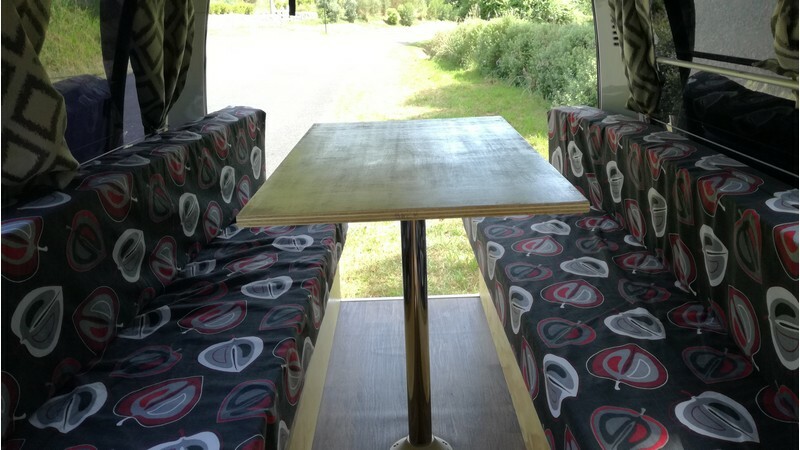 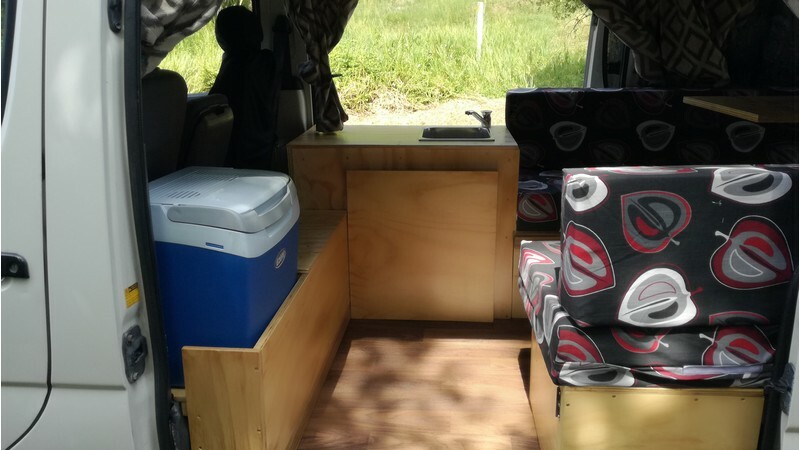 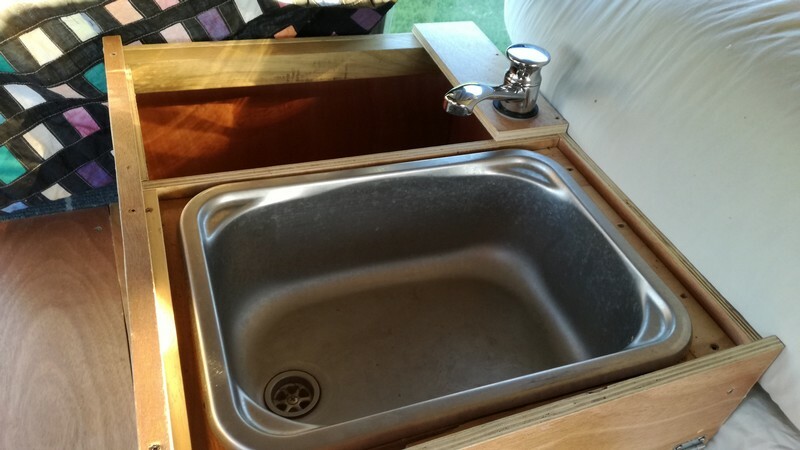 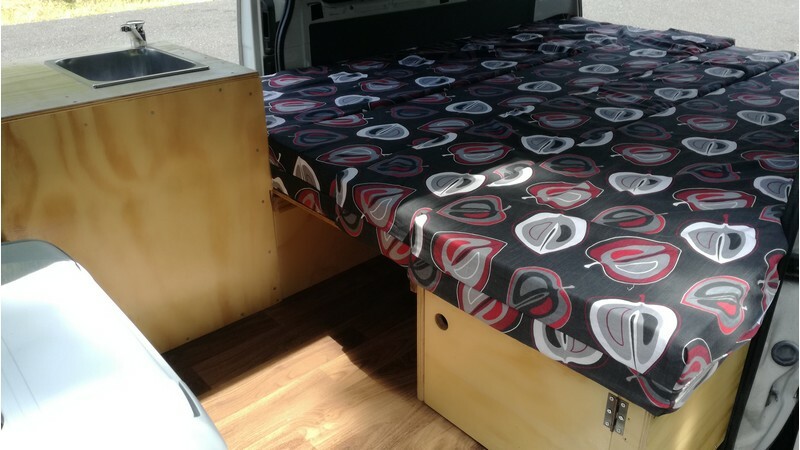 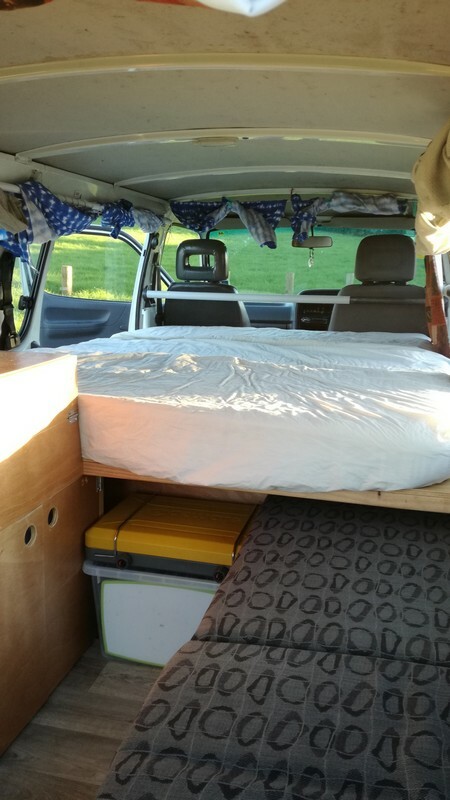 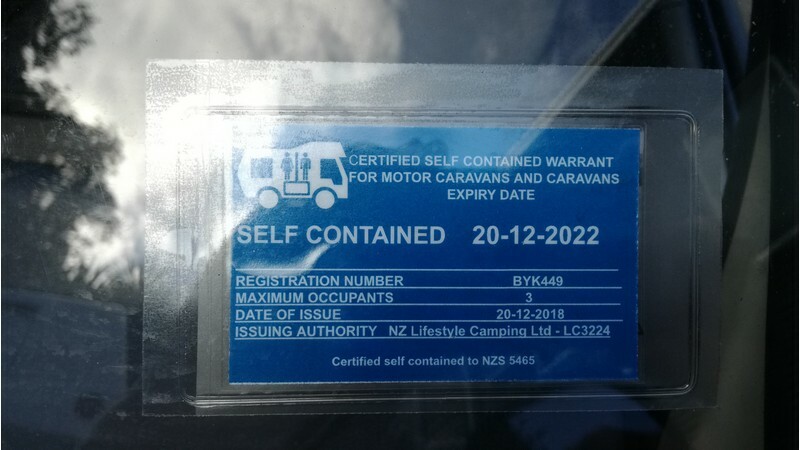 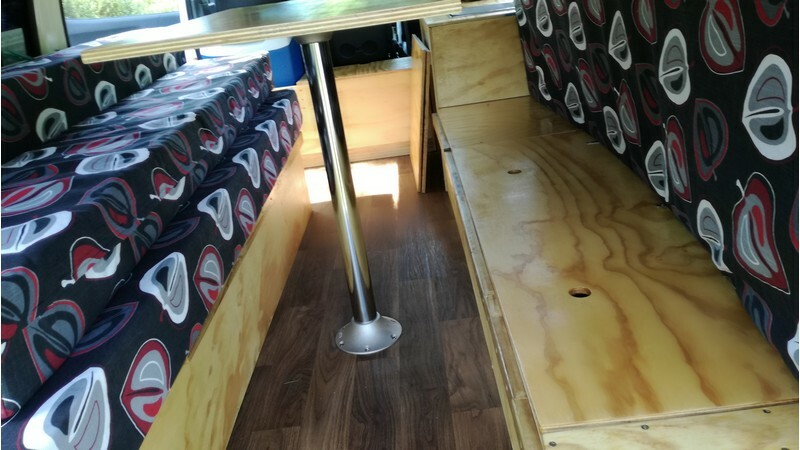 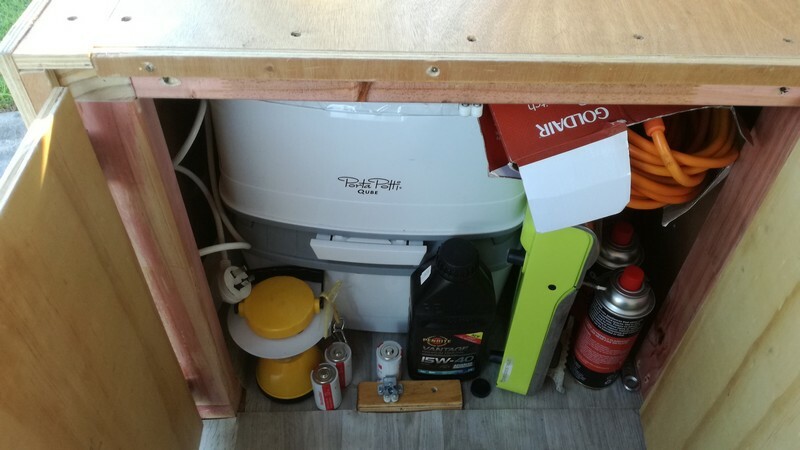 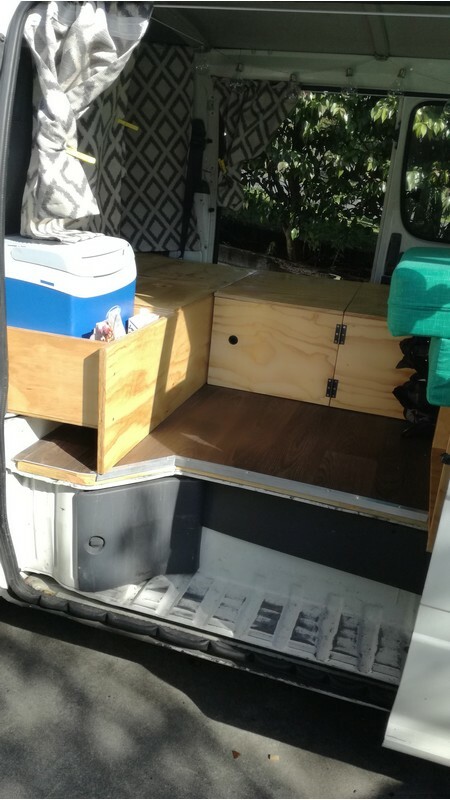 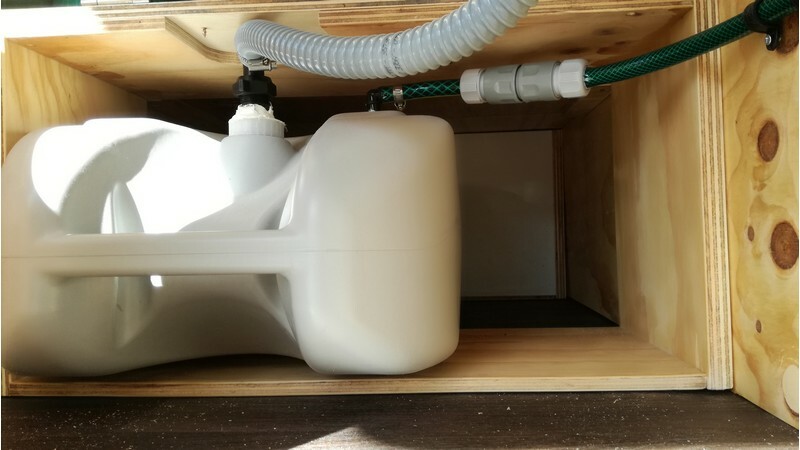 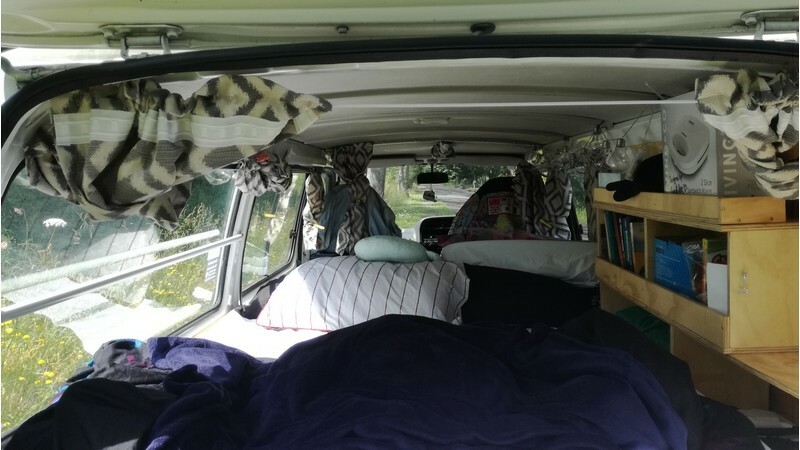 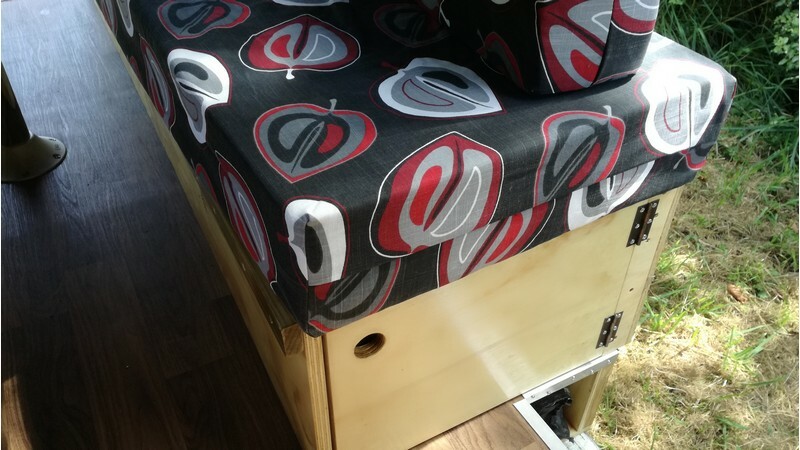 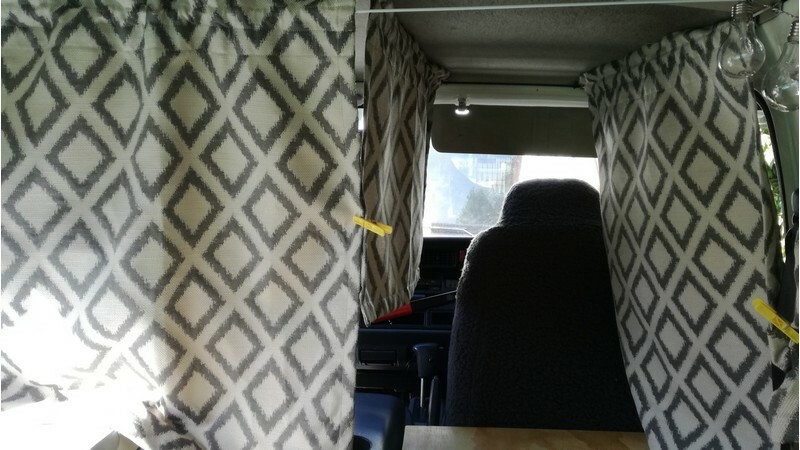 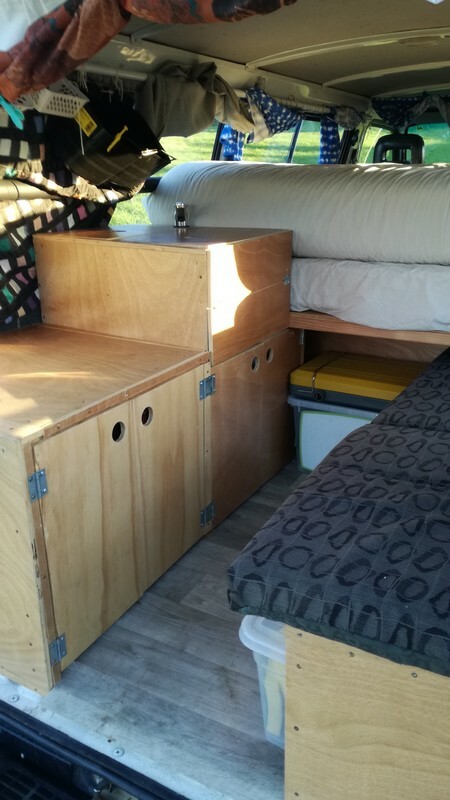 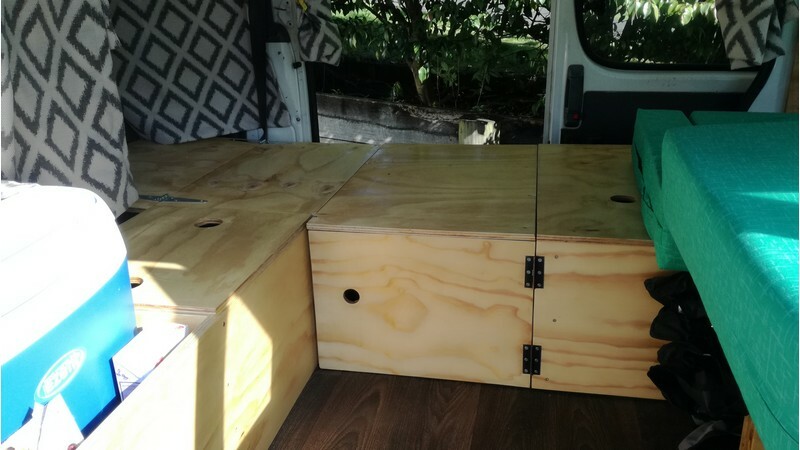 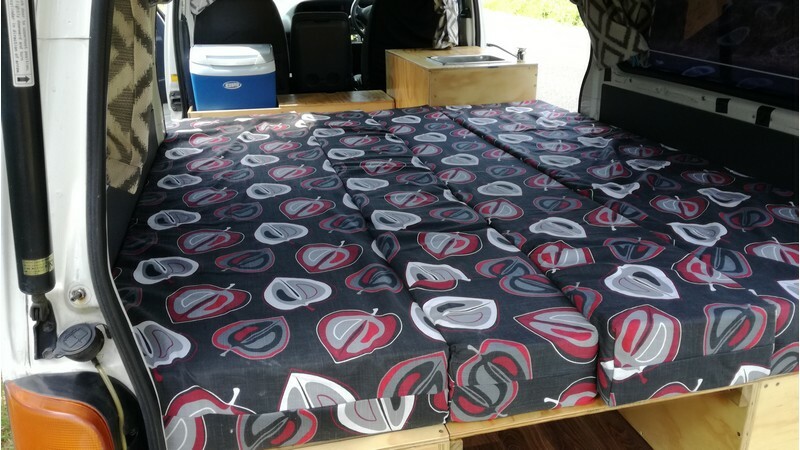 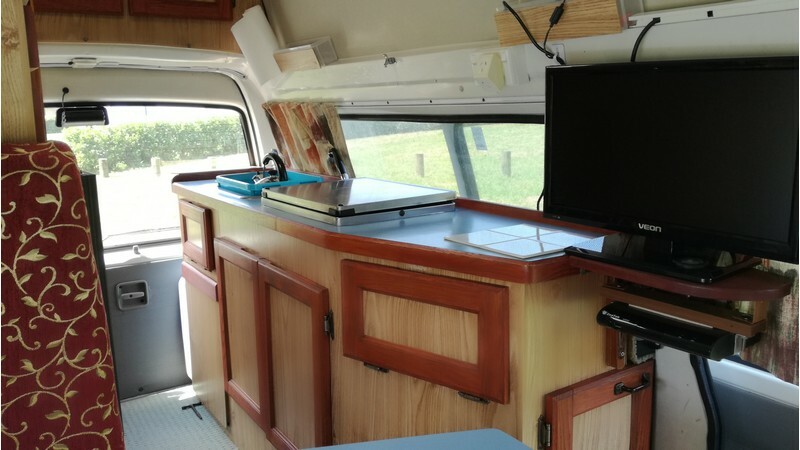 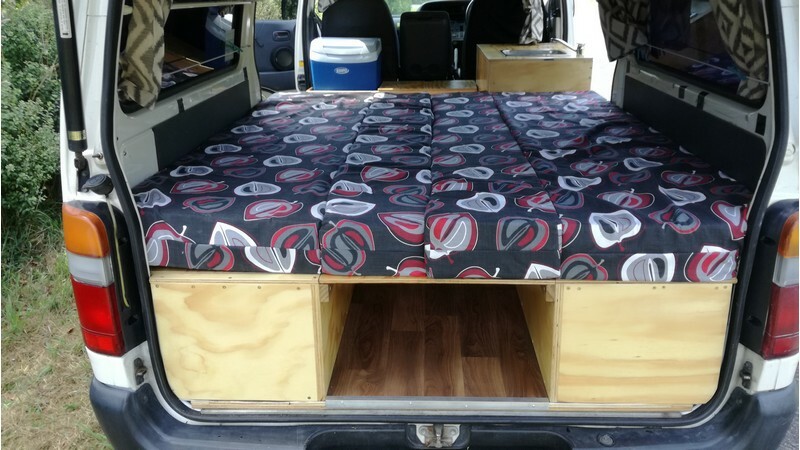 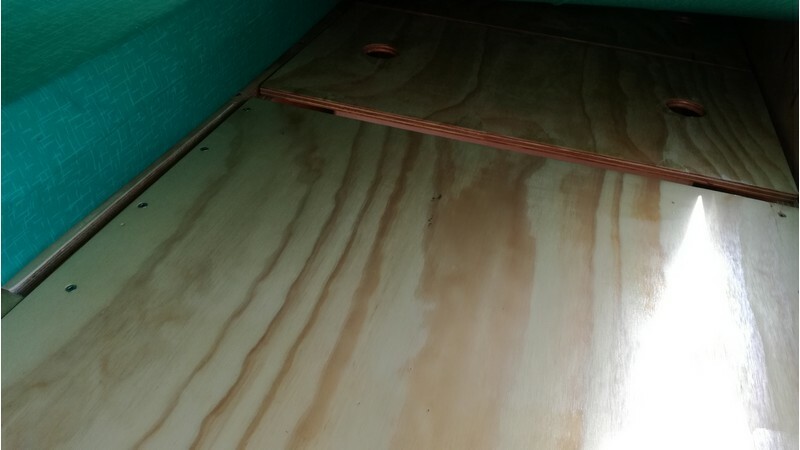 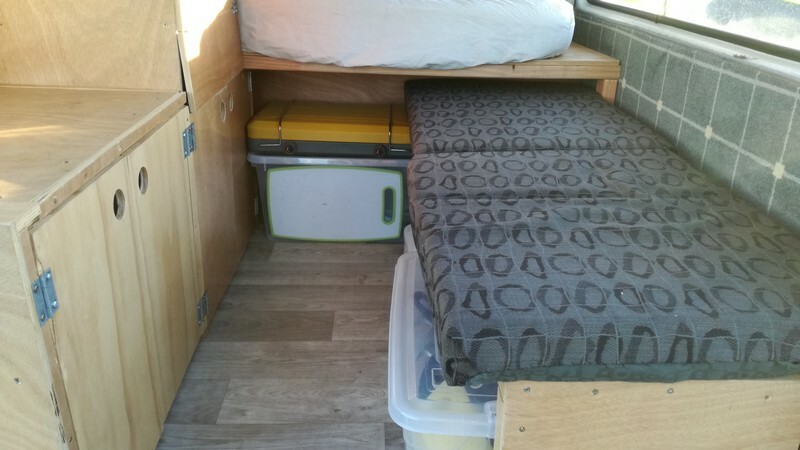 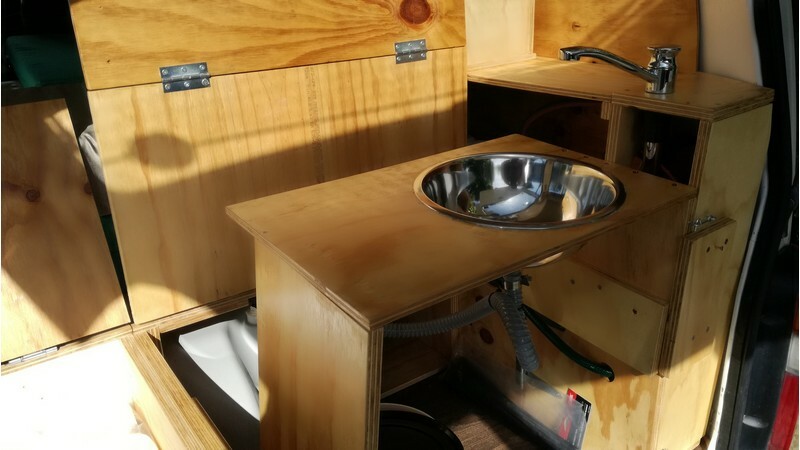 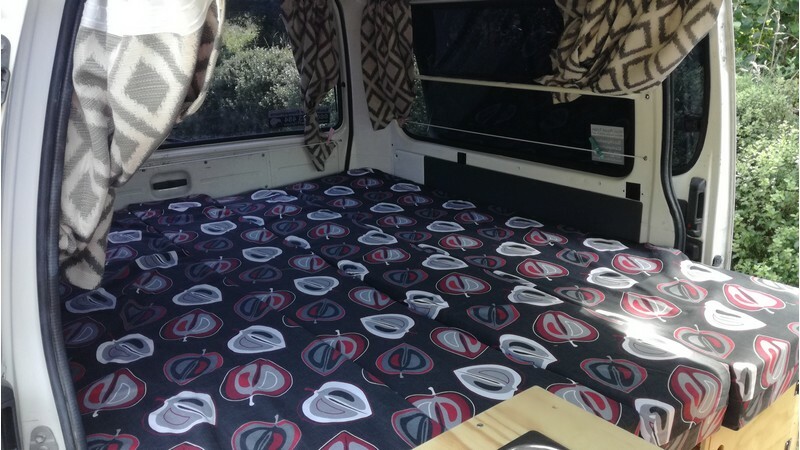 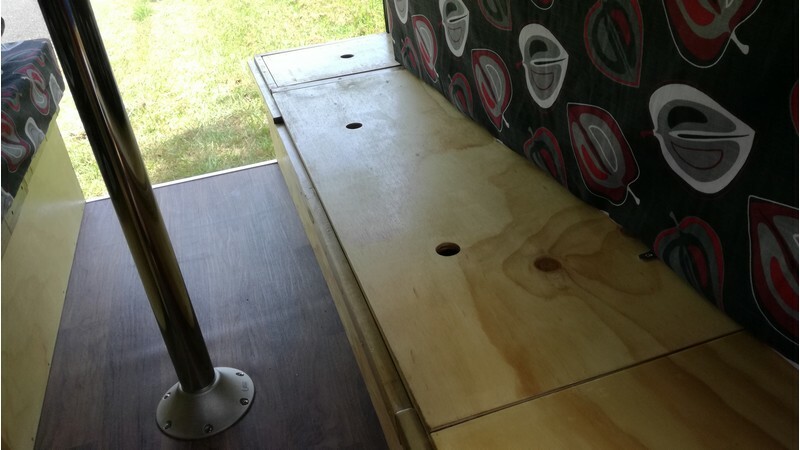 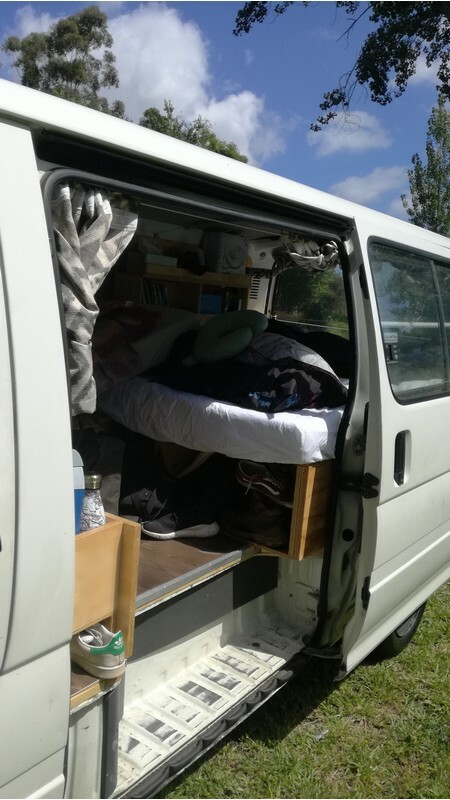 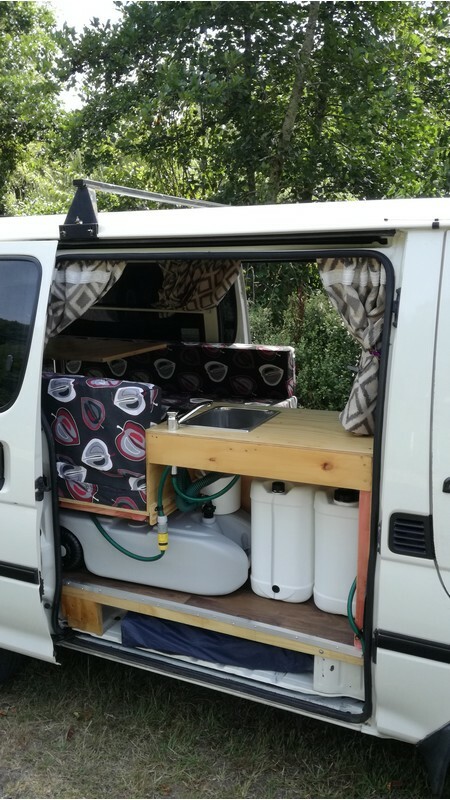 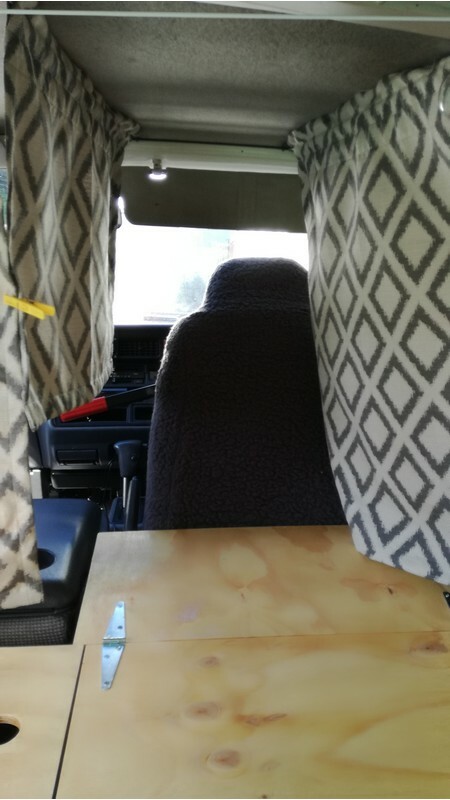 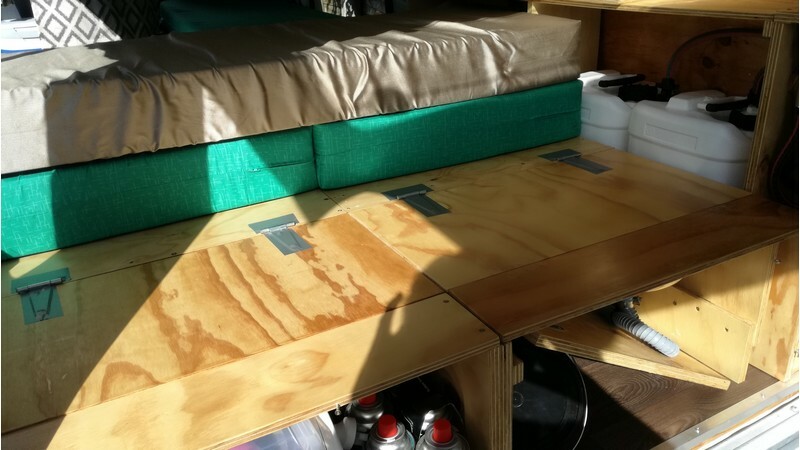 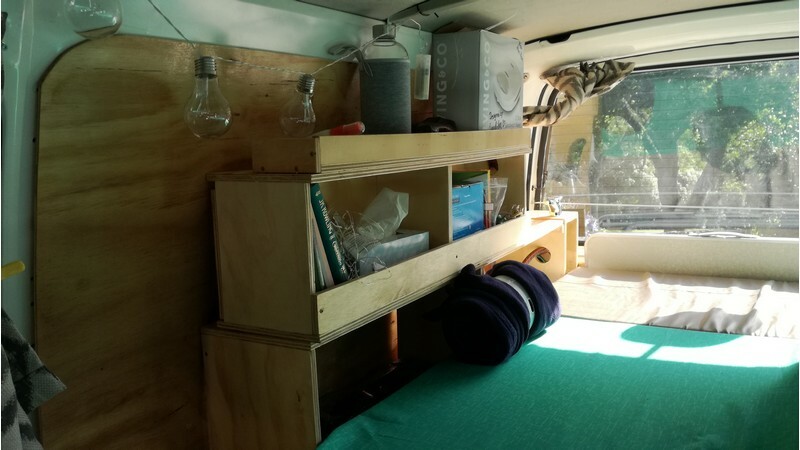 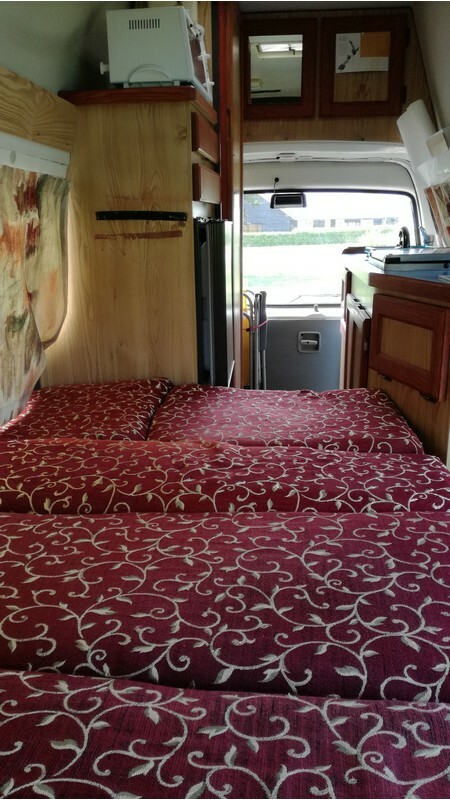 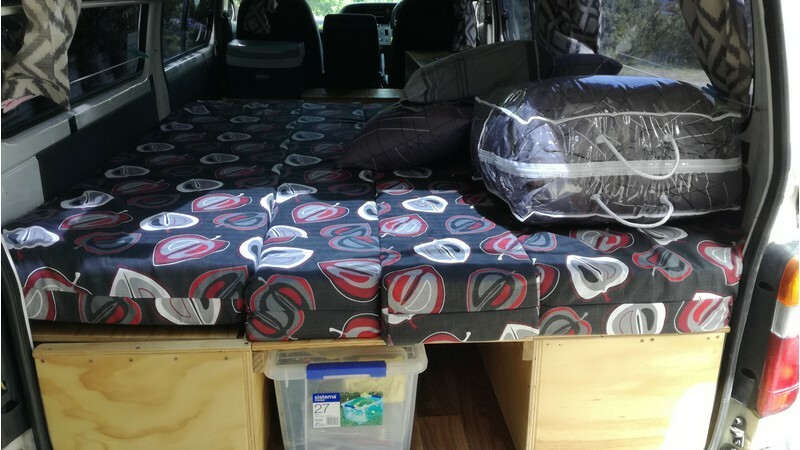 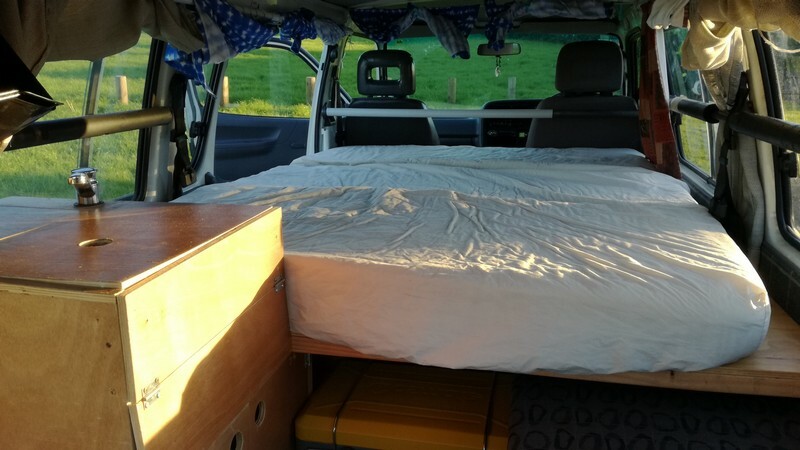 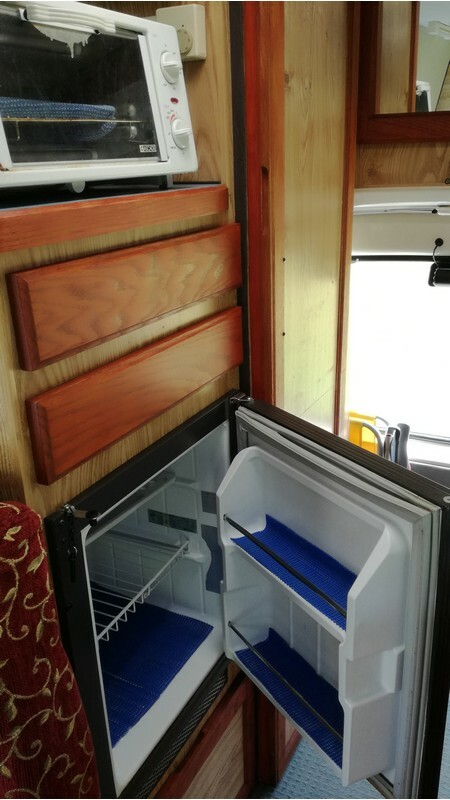 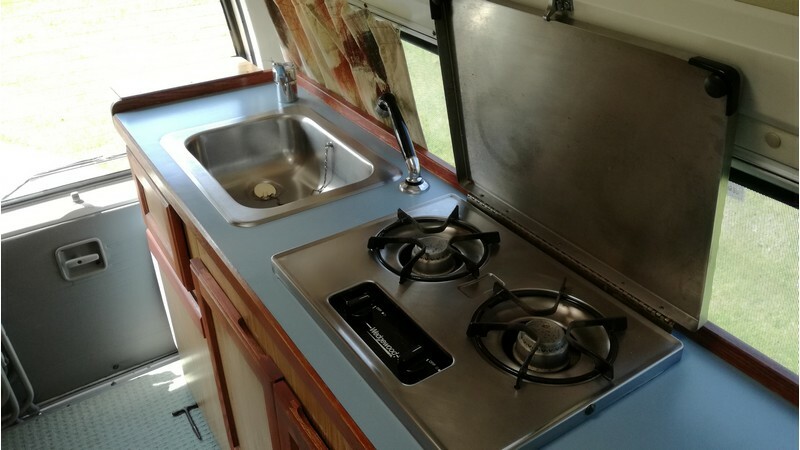 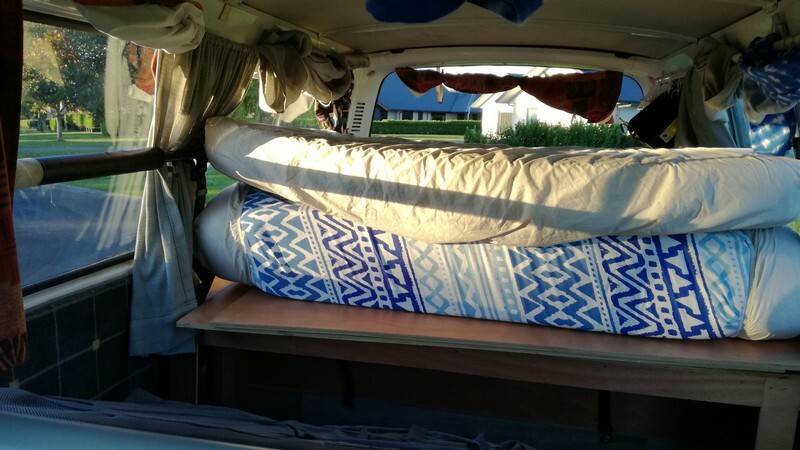 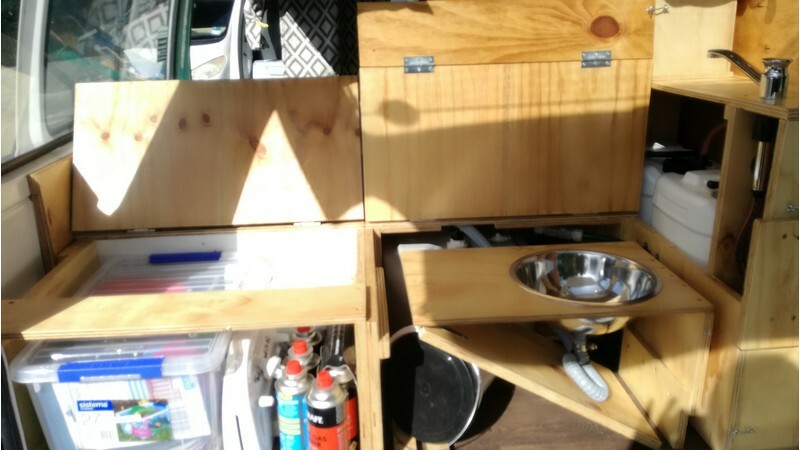 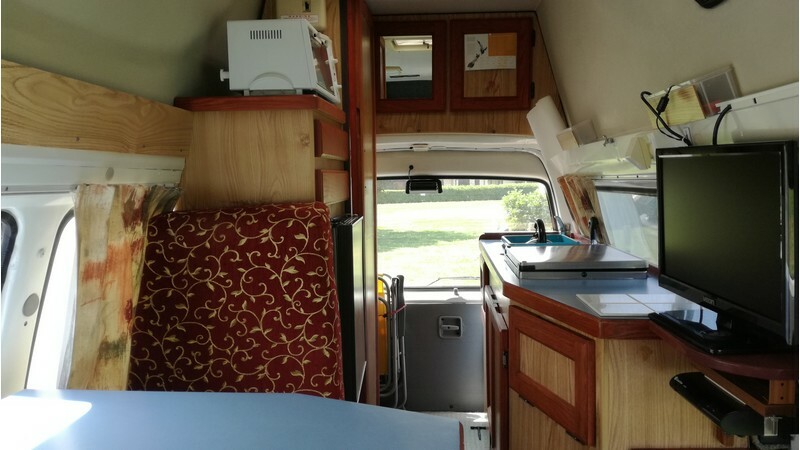 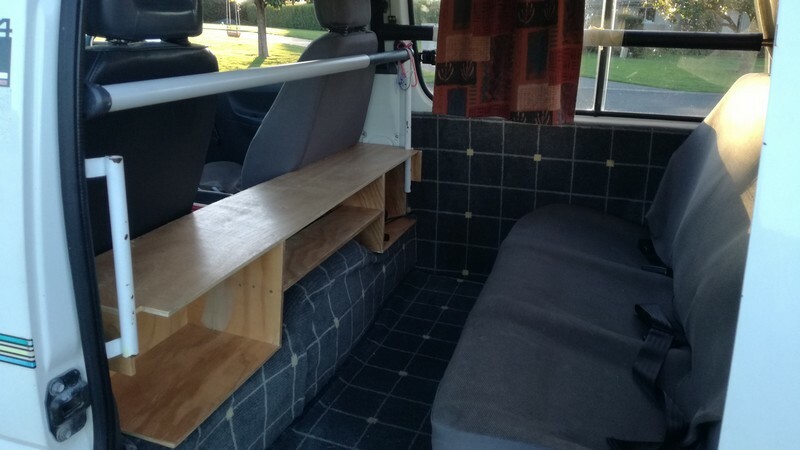 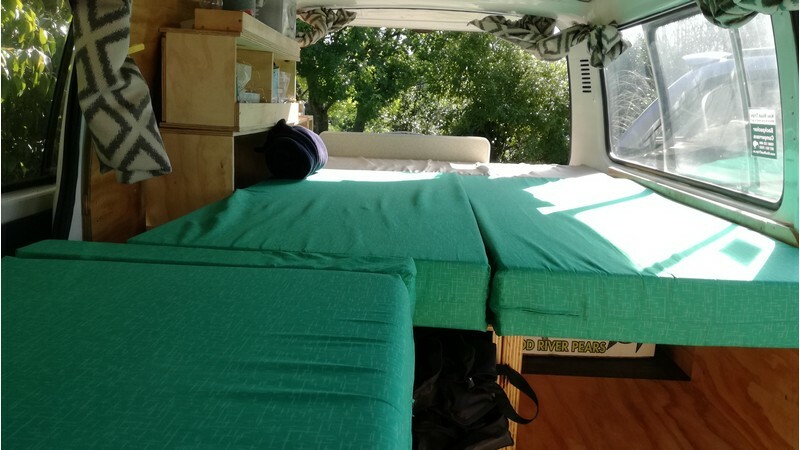 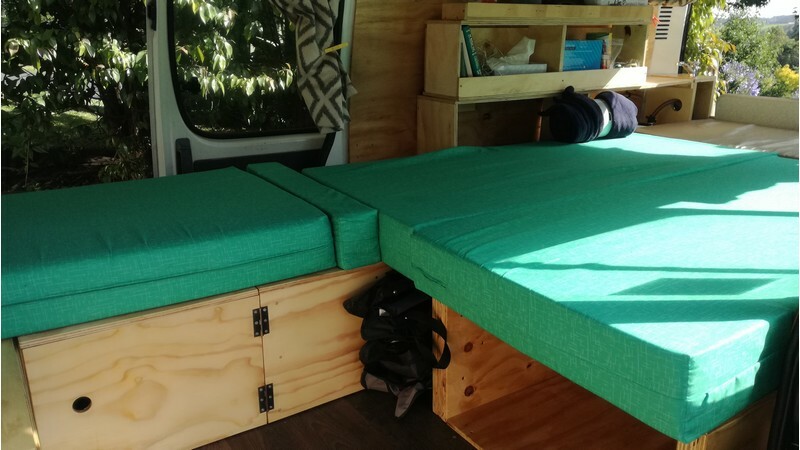 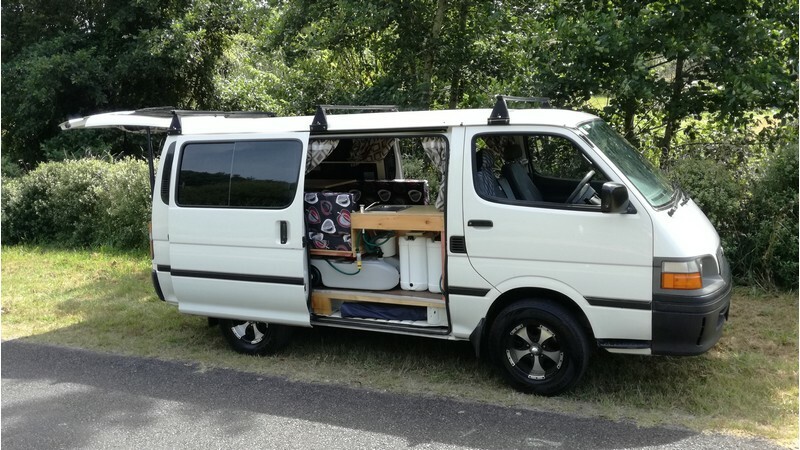 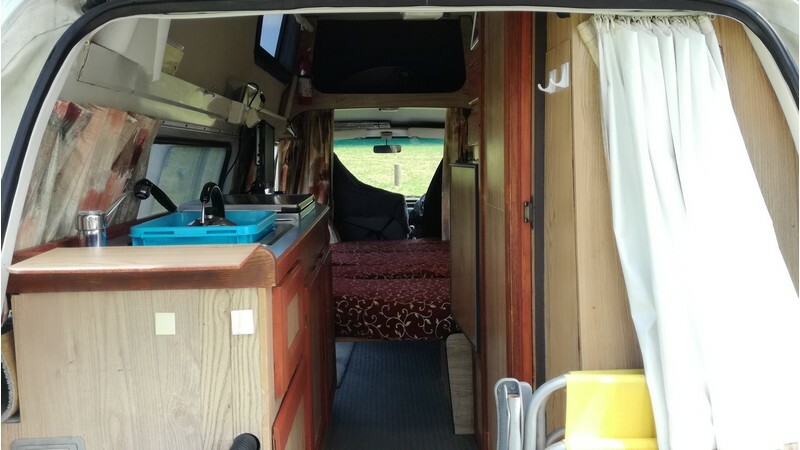 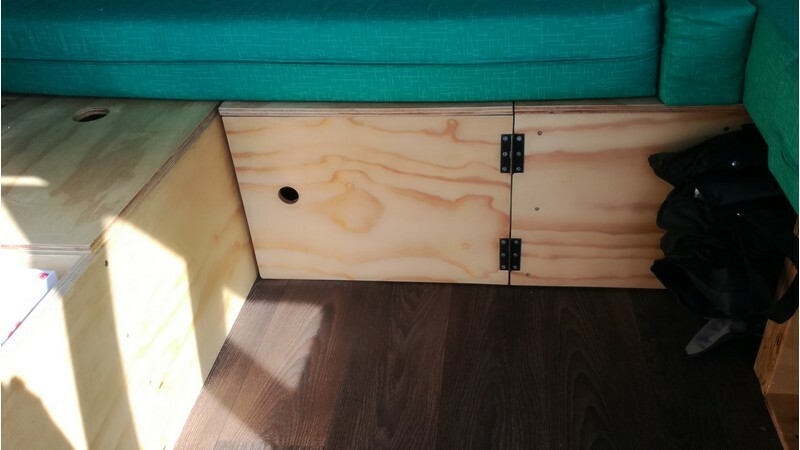 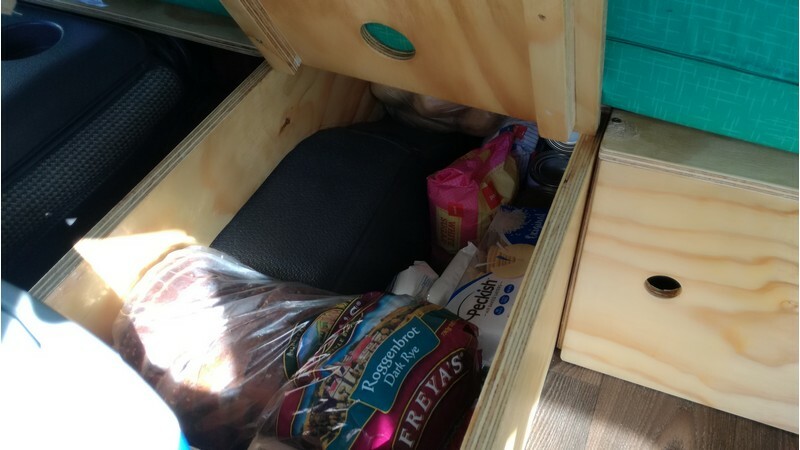 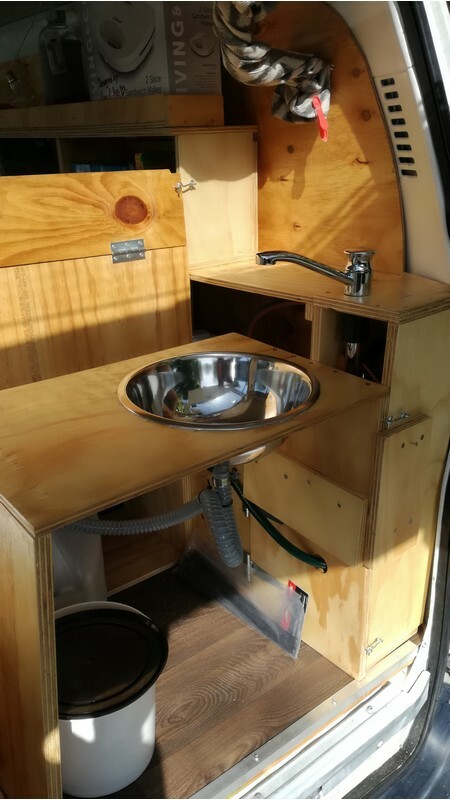 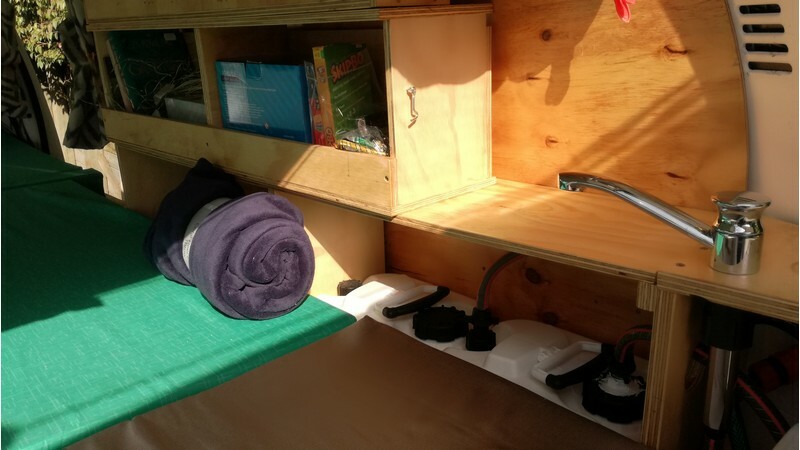 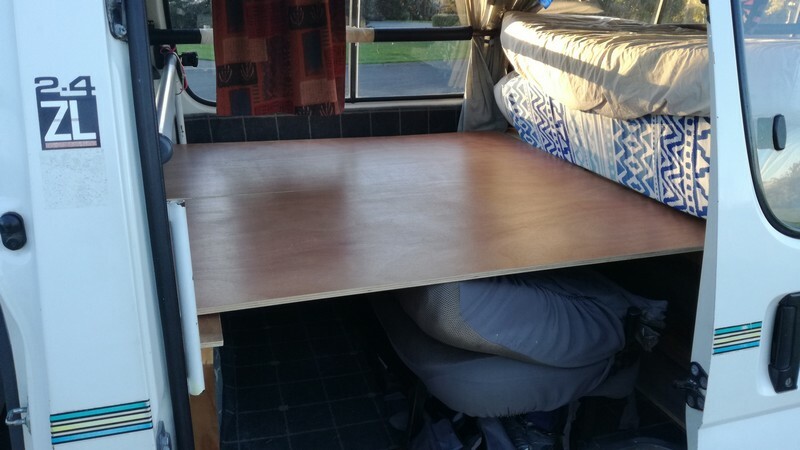 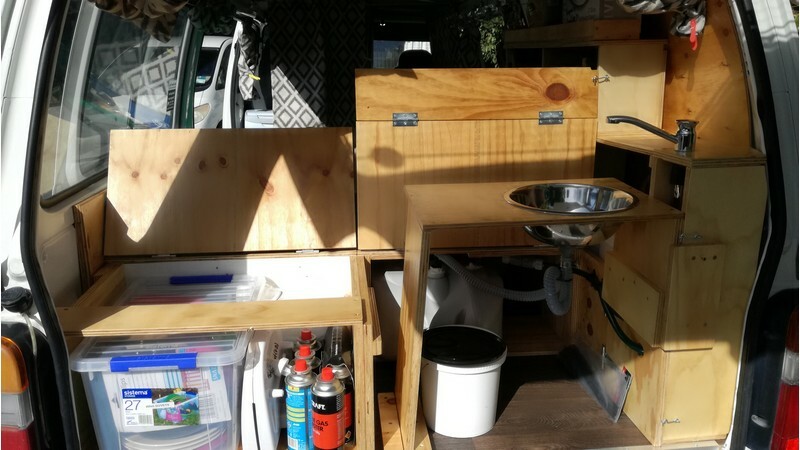 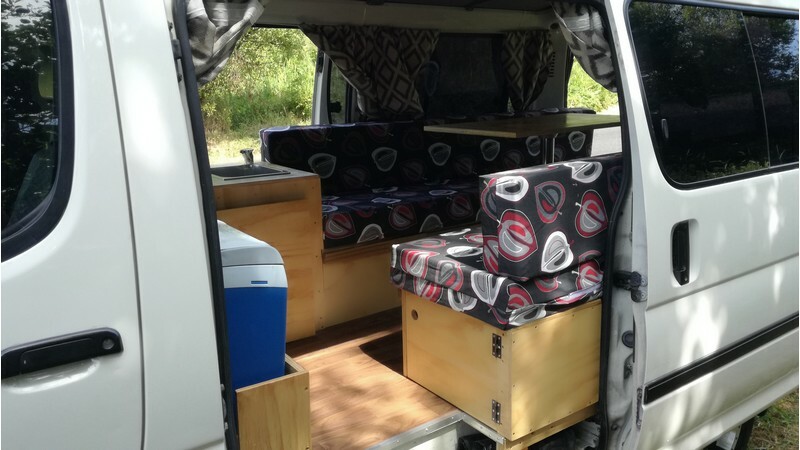 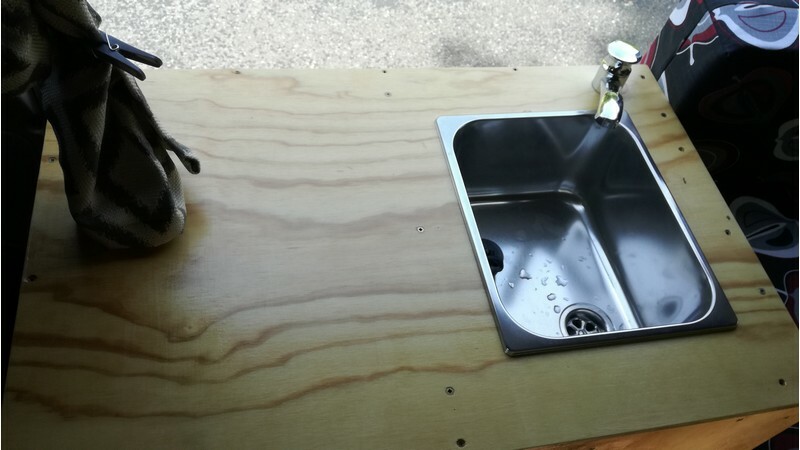 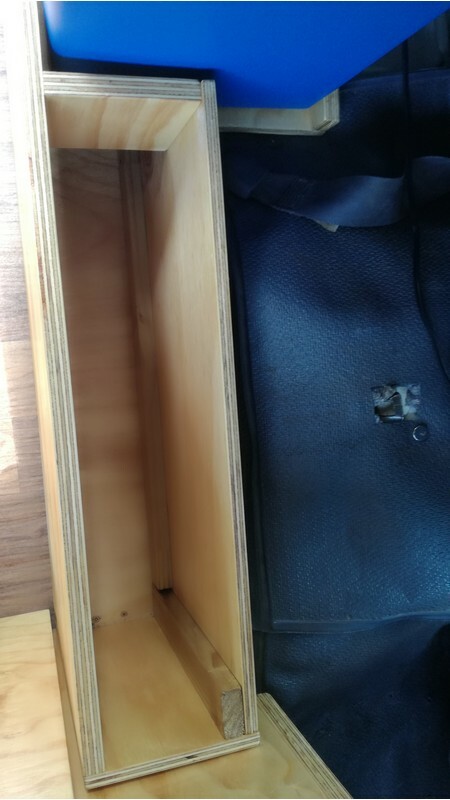 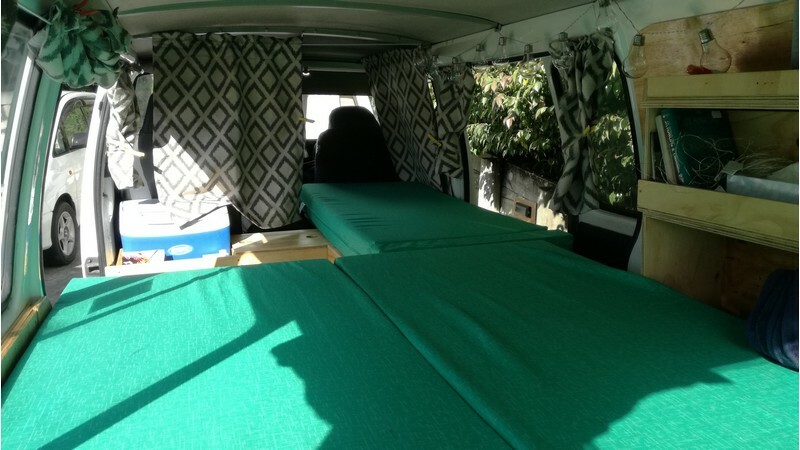 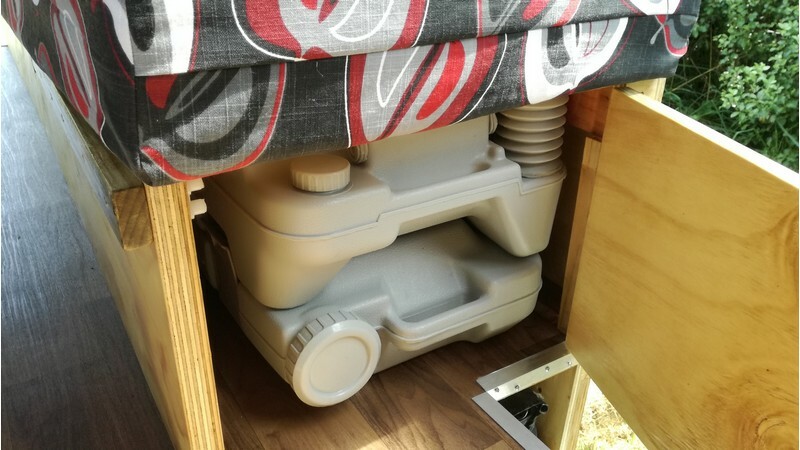 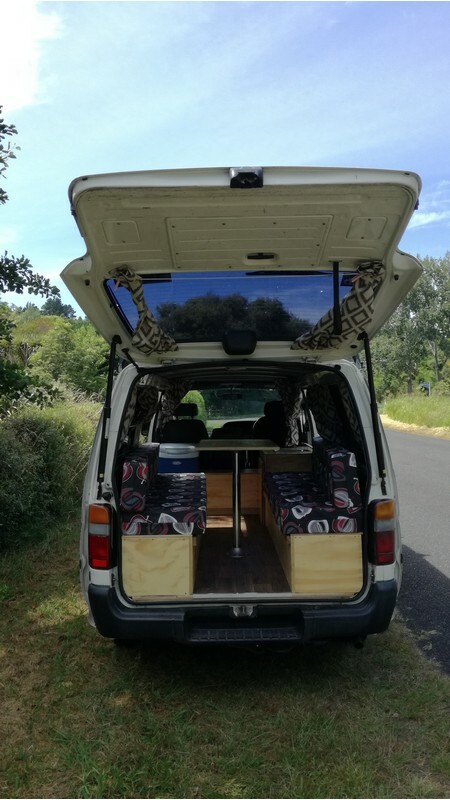 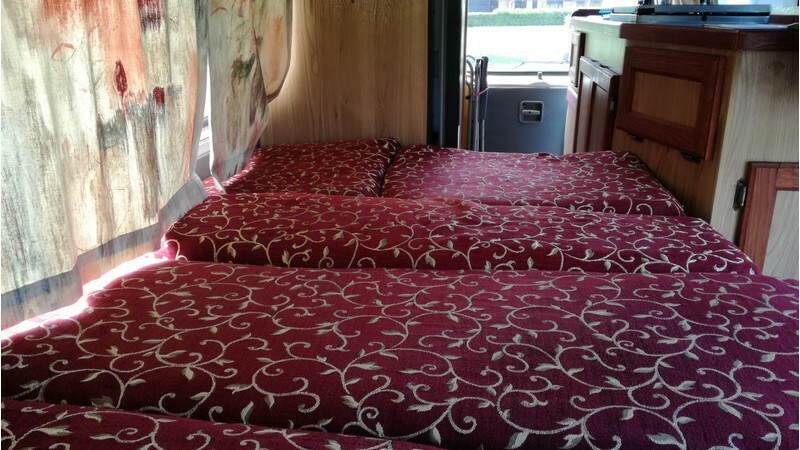 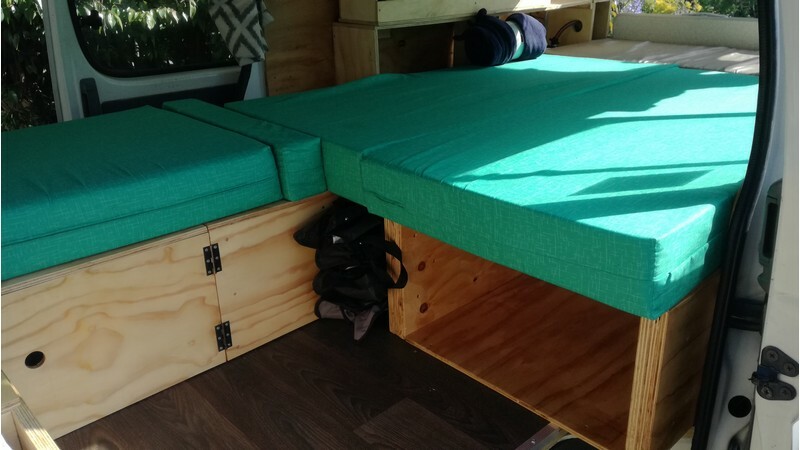 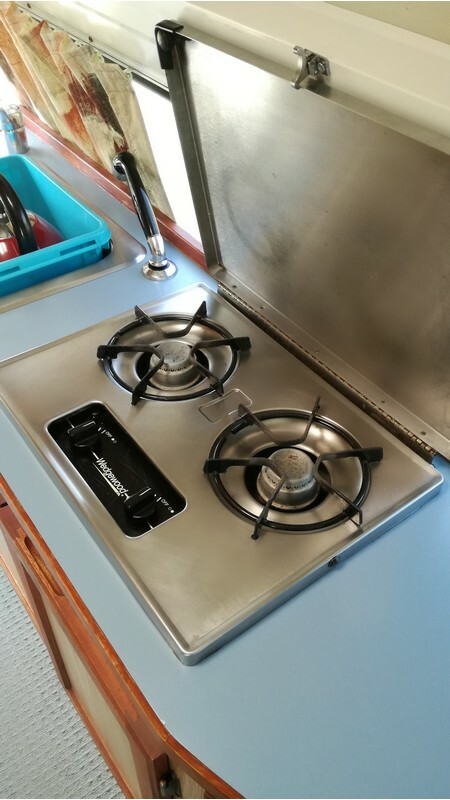 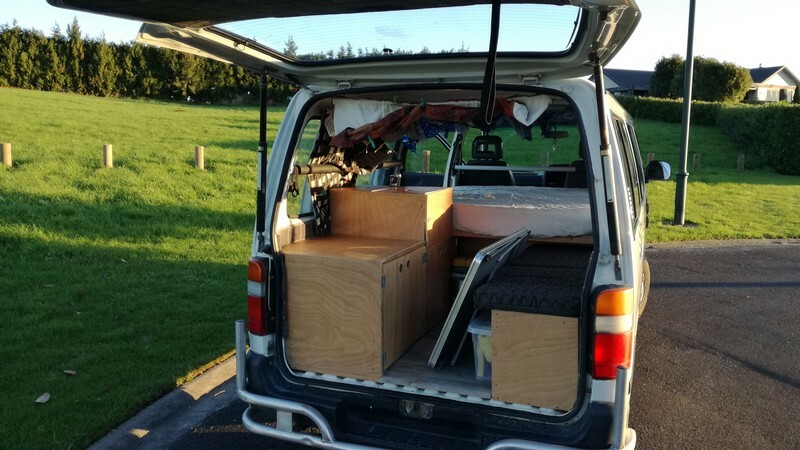 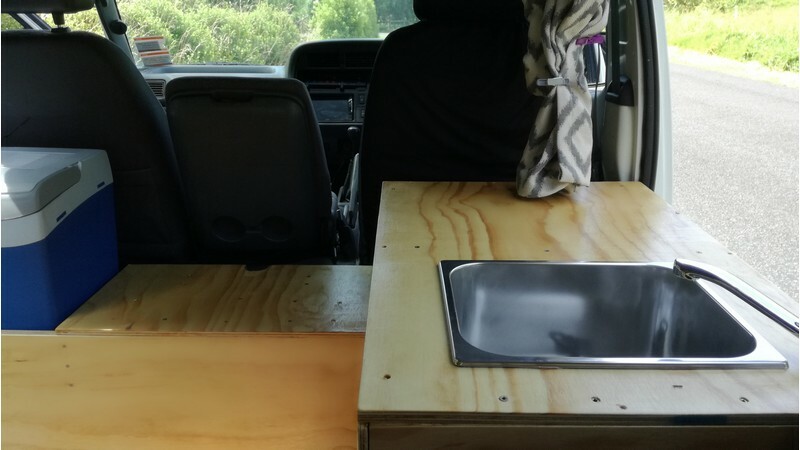 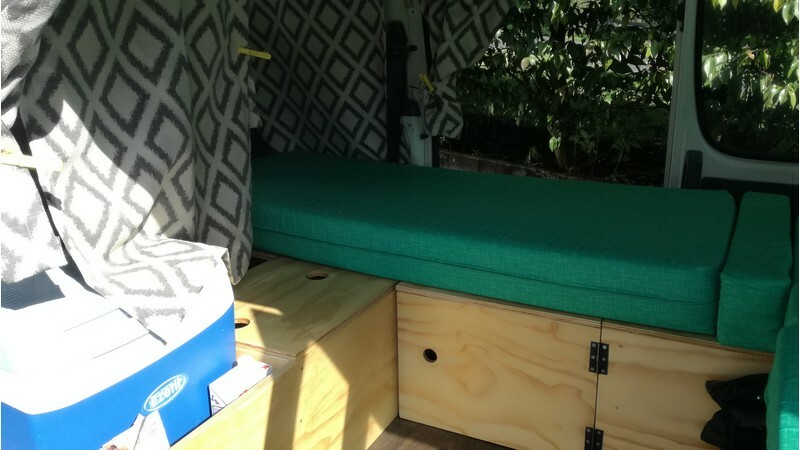 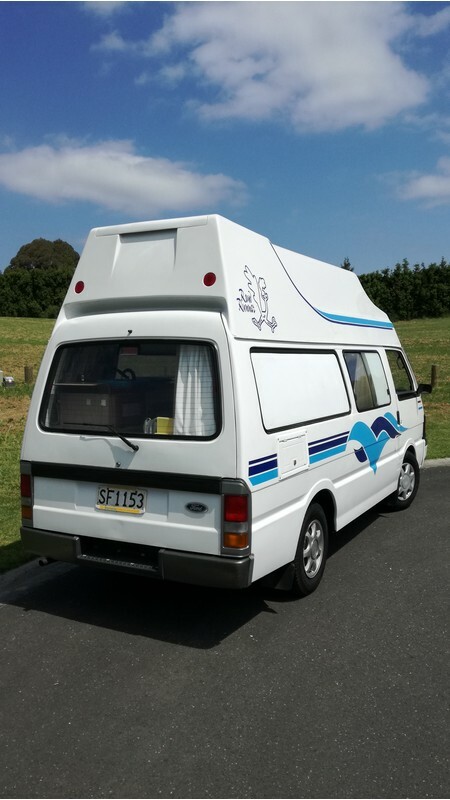 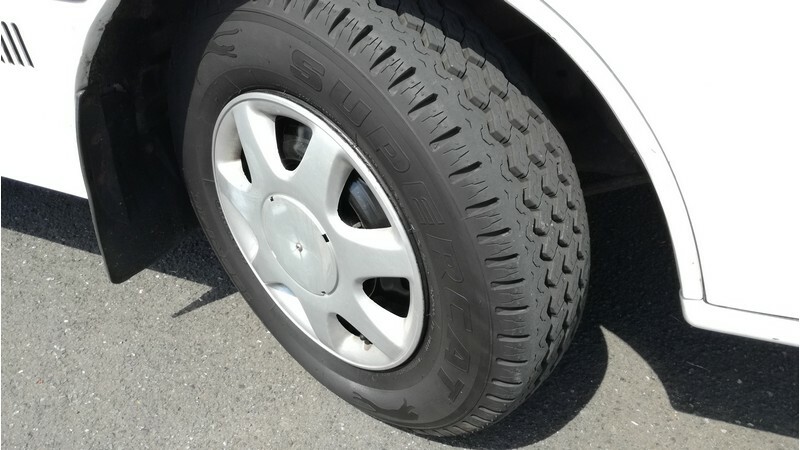 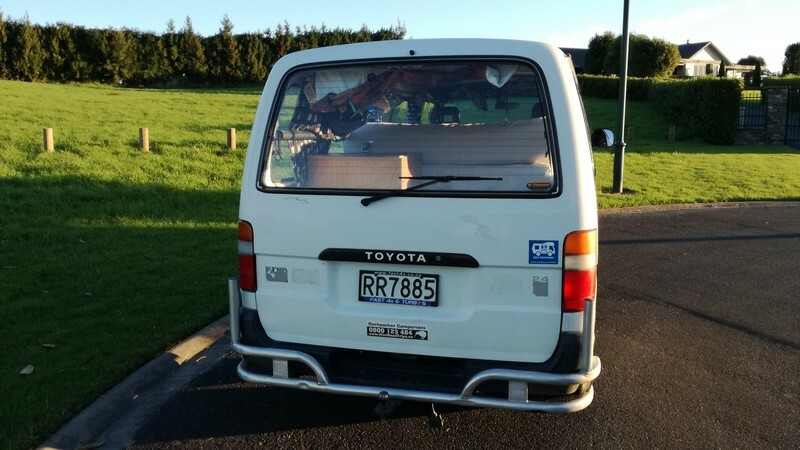 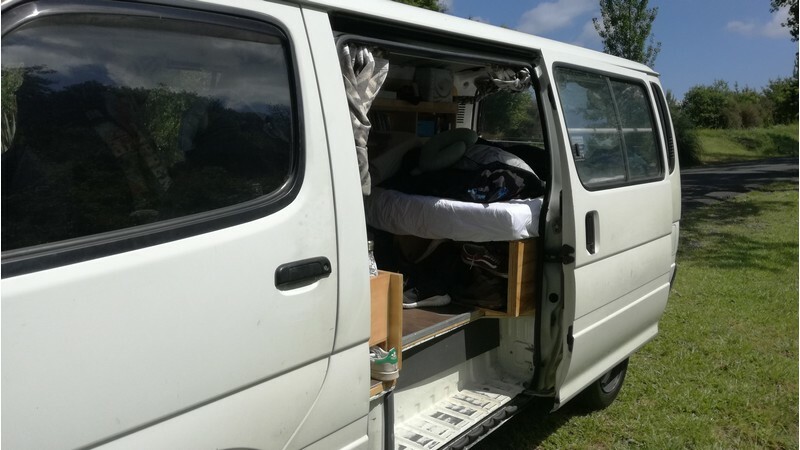 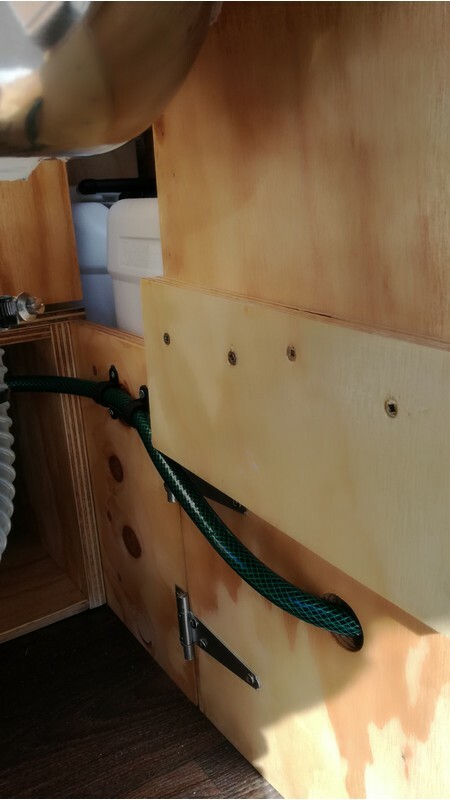 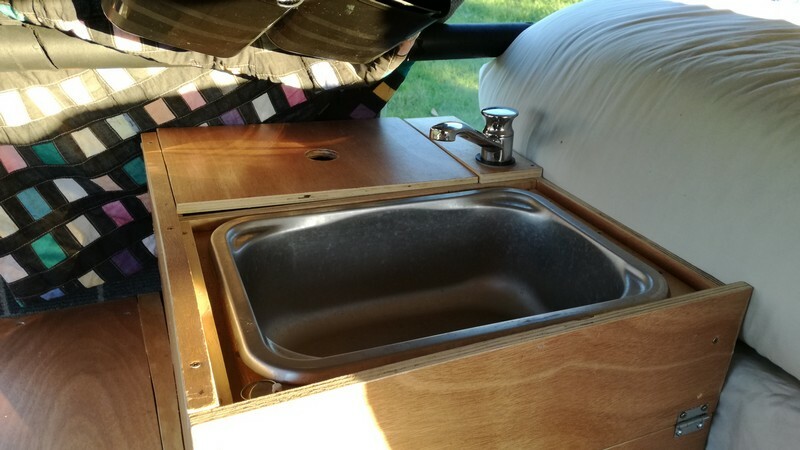 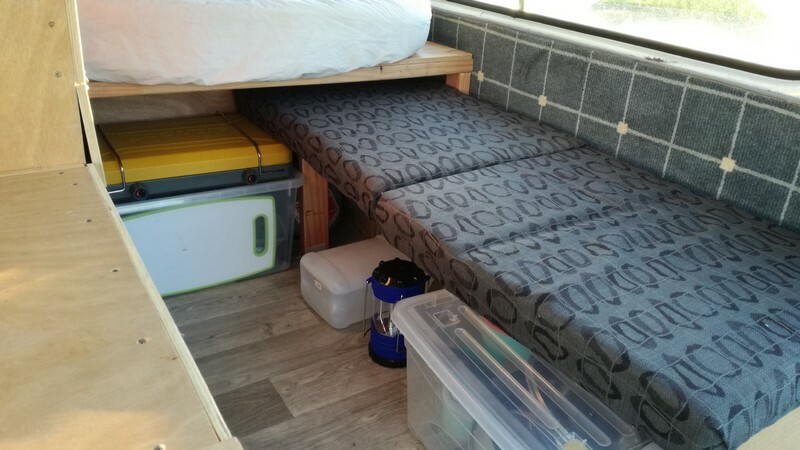 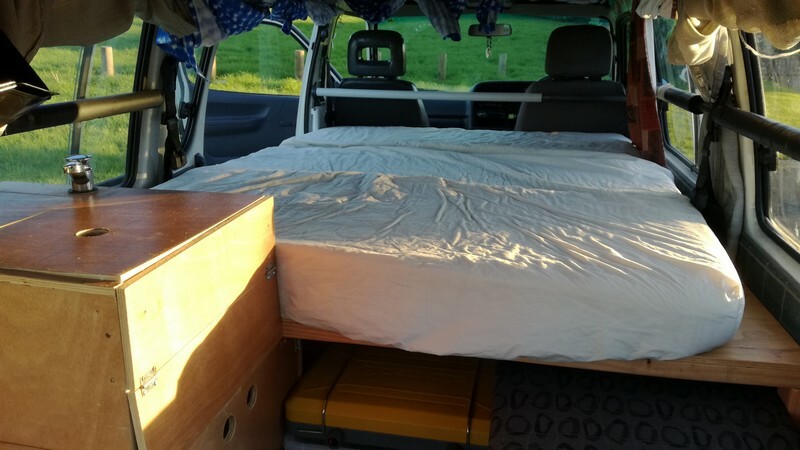 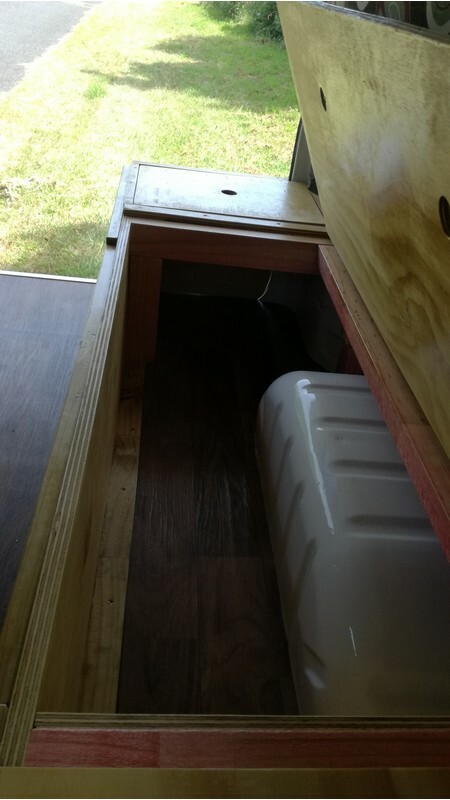 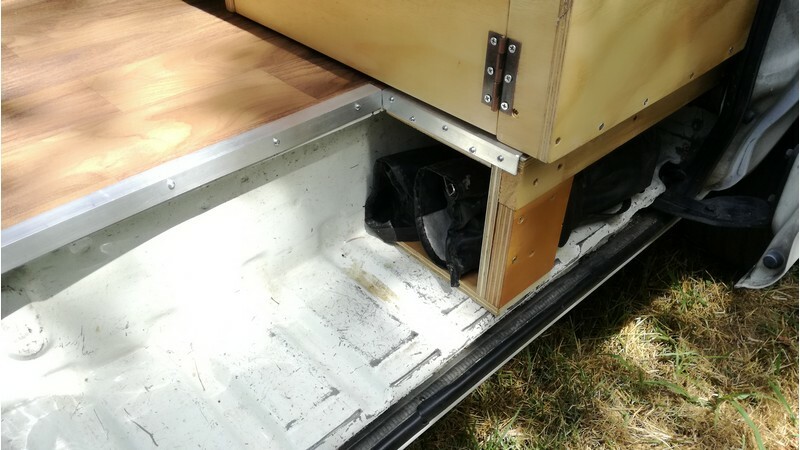 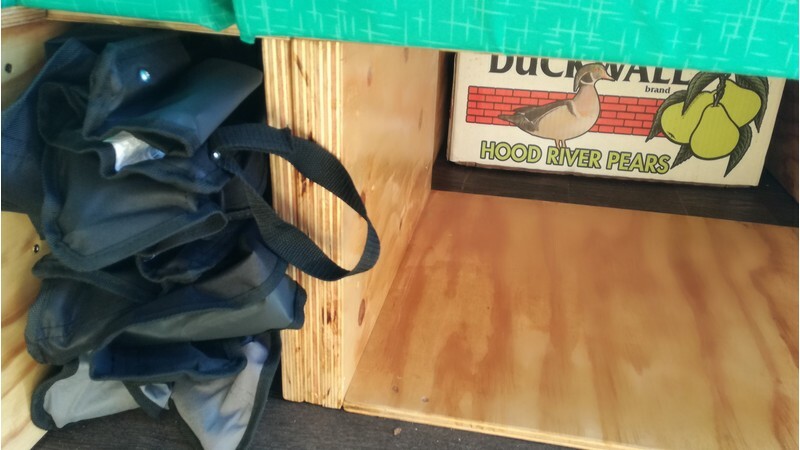 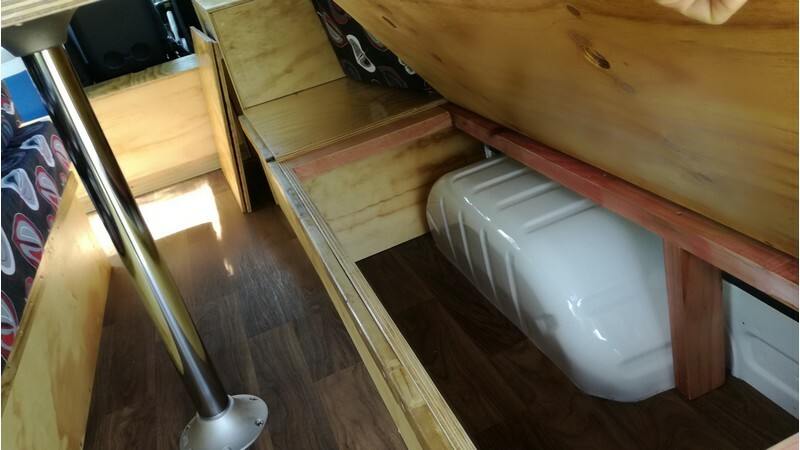 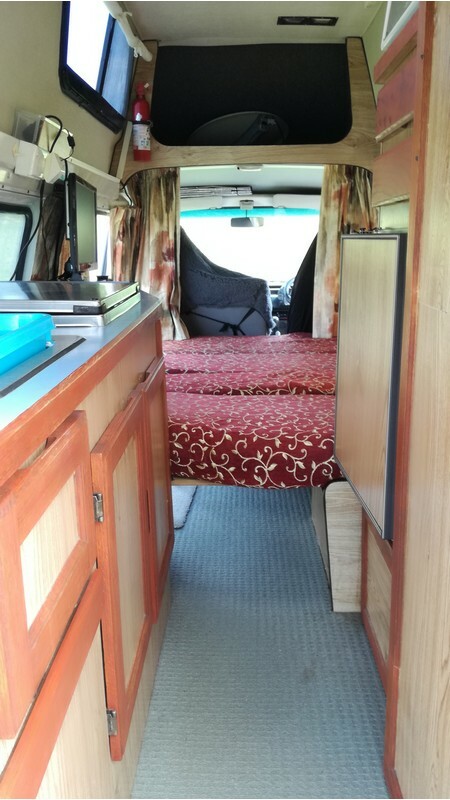 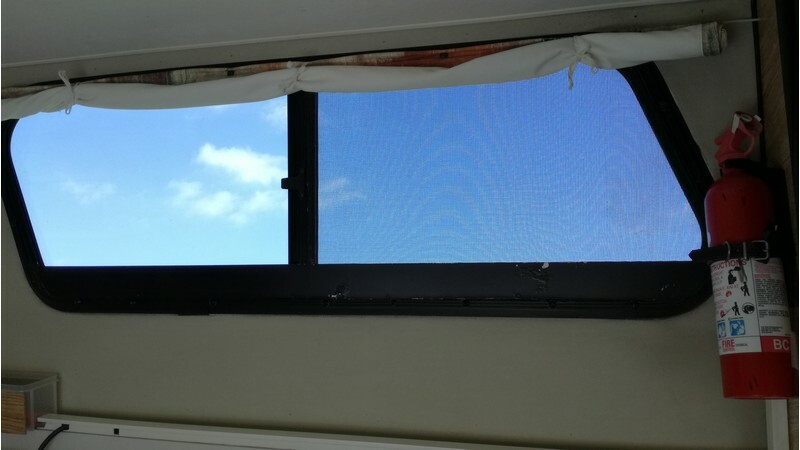 All our vans come with a valid Rego and valid WOF and come with a duvet and duvet cover, two pillows, pillow covers, and camping equipment including two chairs, table, plates, cutlery, cooker stove, tea towels and storage bins that stow under the bed frame.